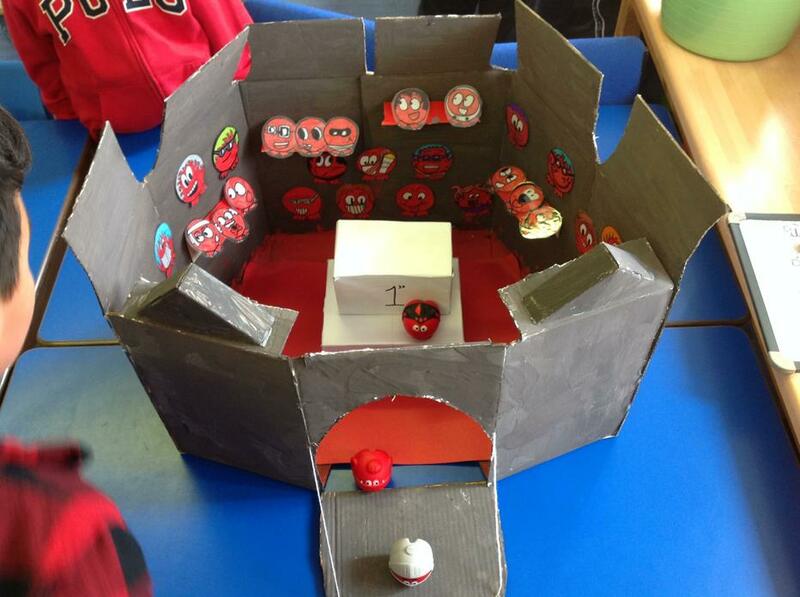 Our topic this term is 'Dragons' Den'. 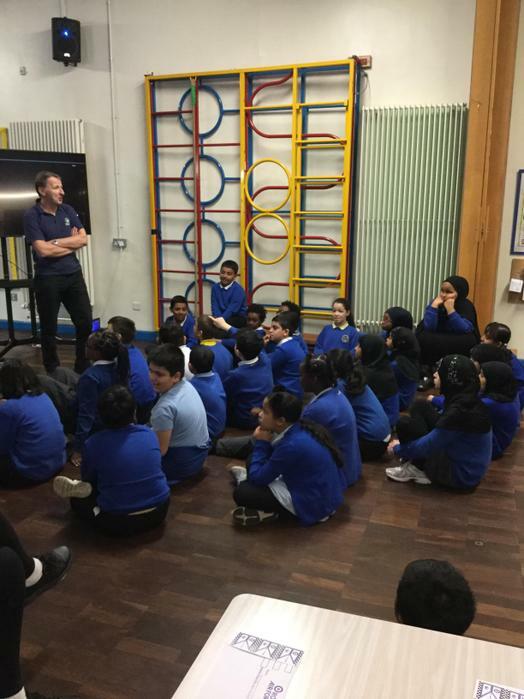 We are learning all about wonderful Wales, we will be exploring the history, geography, culture and many other aspects of our country! 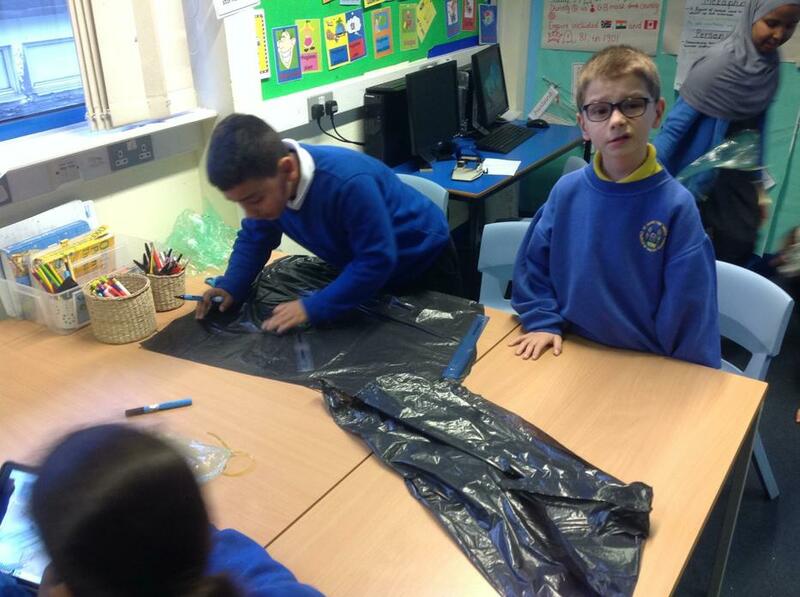 We will be researching, designing and creating an item of clothing to auction as part of our enterprising project. 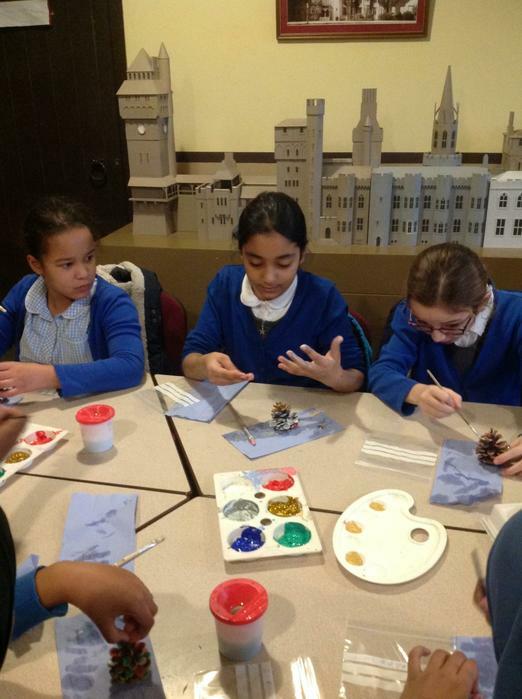 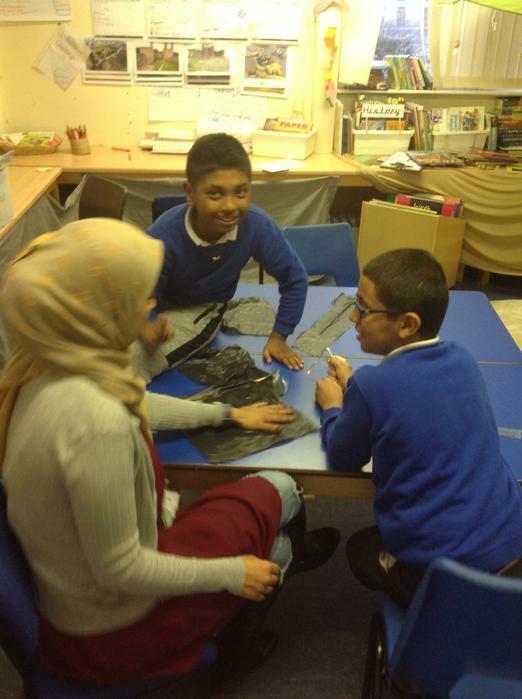 We will be inviting you into school to see what we have made and maybe test our persuasive techniques on you. 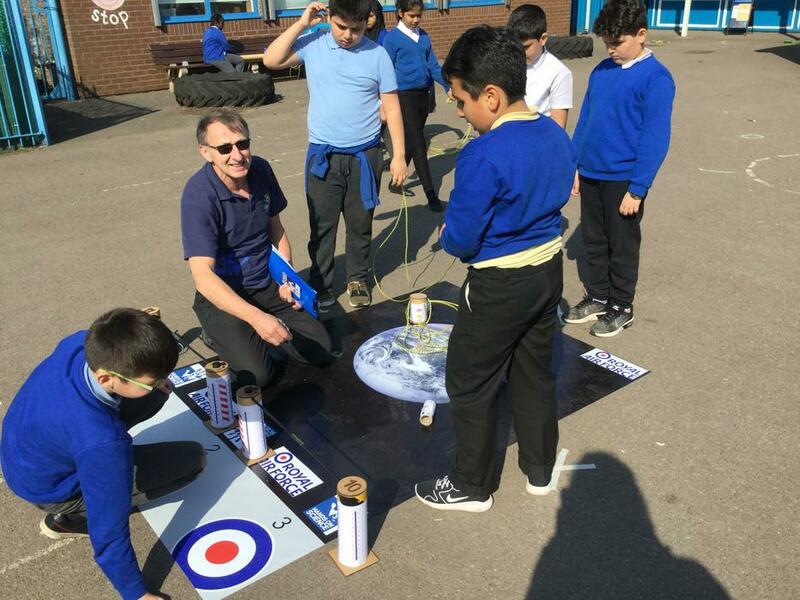 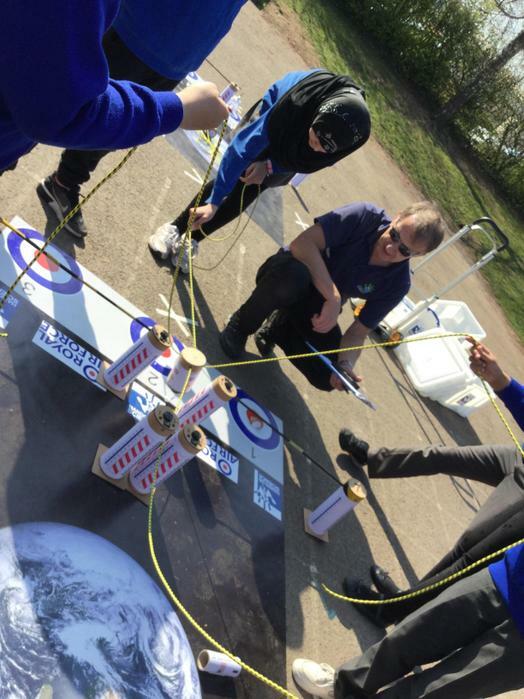 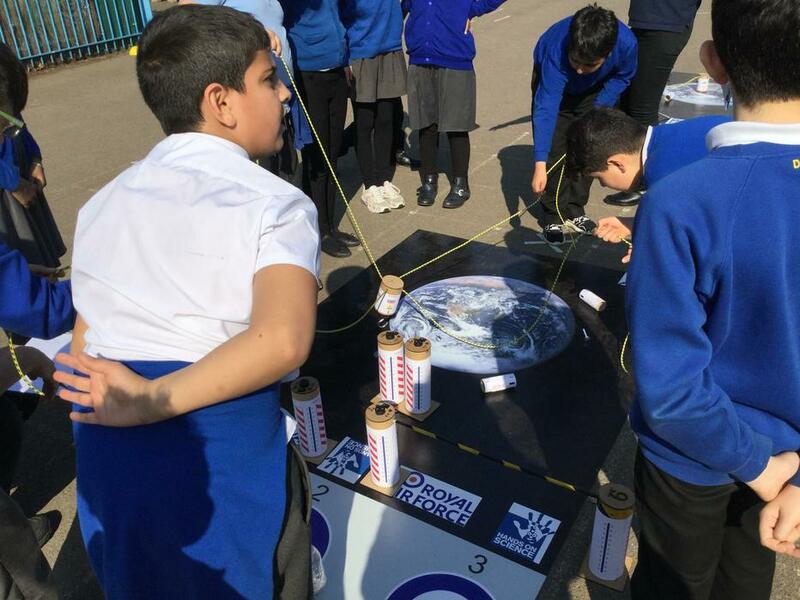 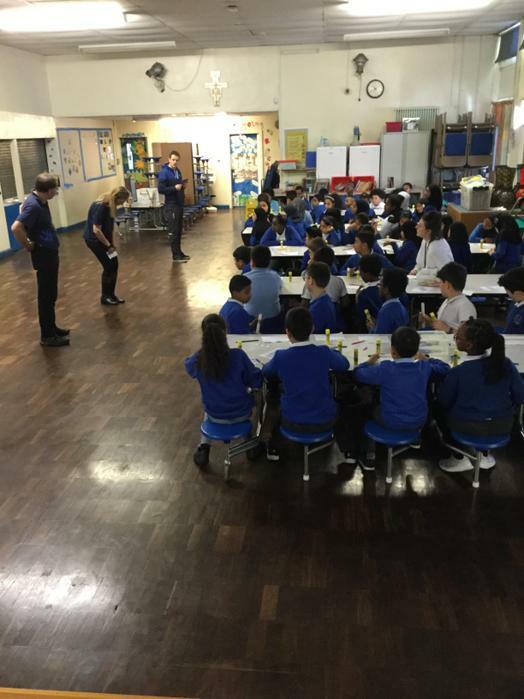 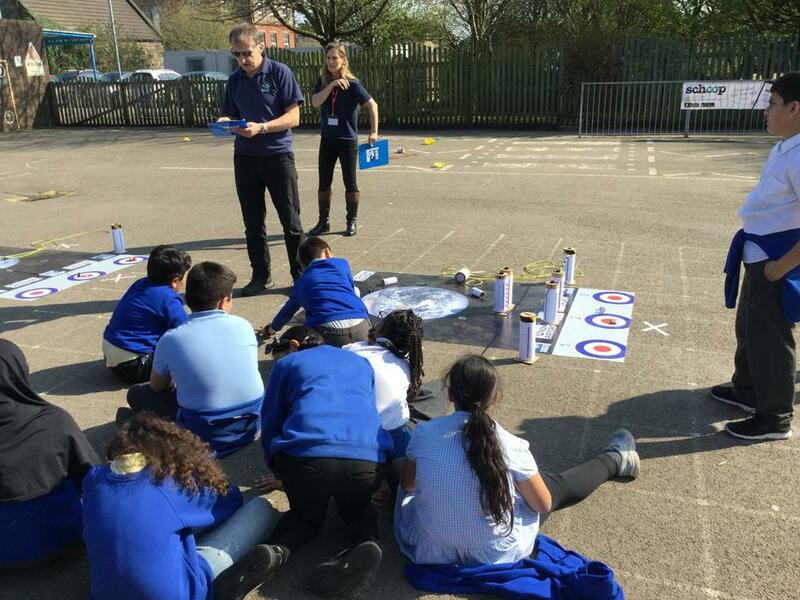 We had an engineer and scientist from the RAF to host an action packed day for us and Year 6. 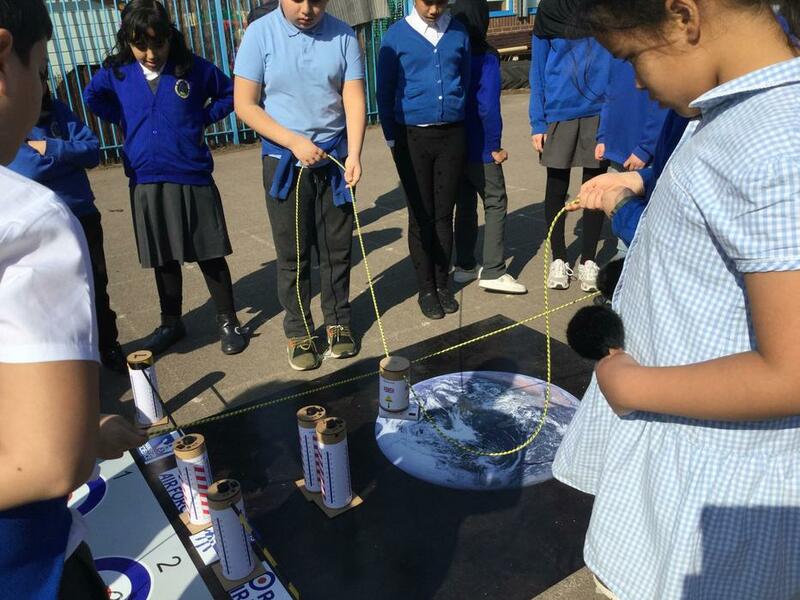 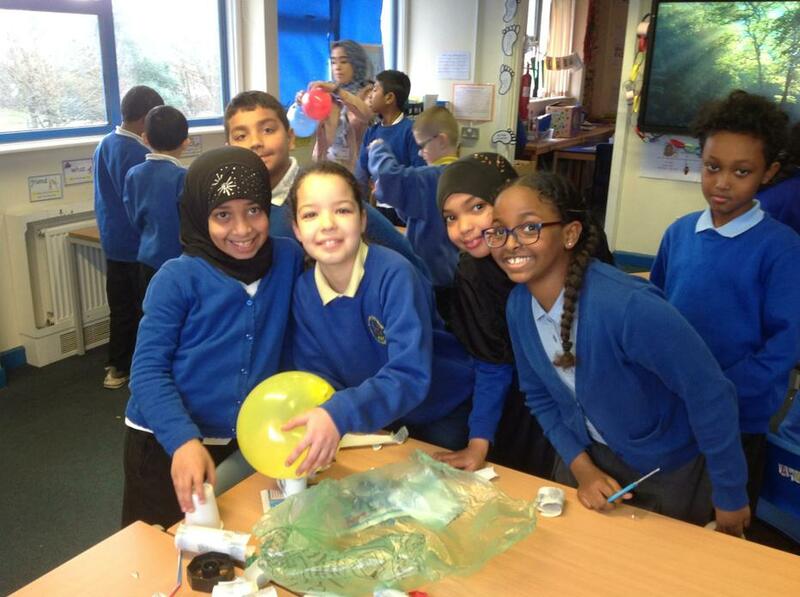 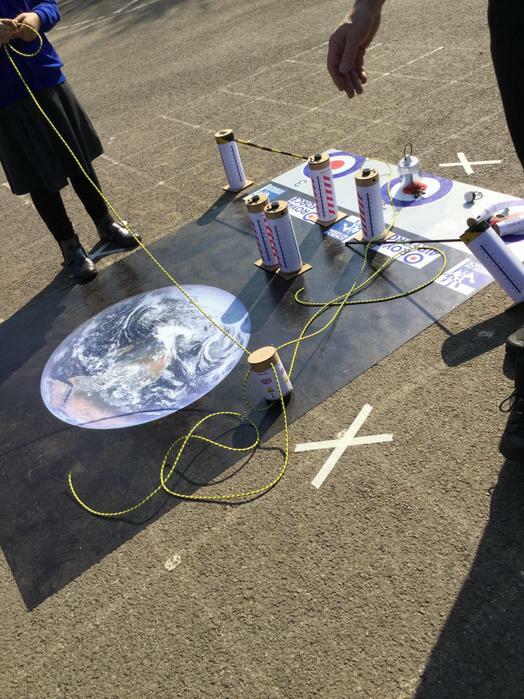 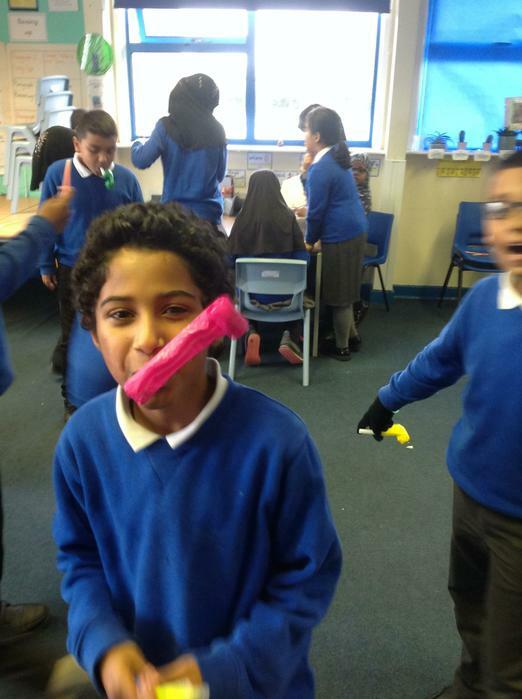 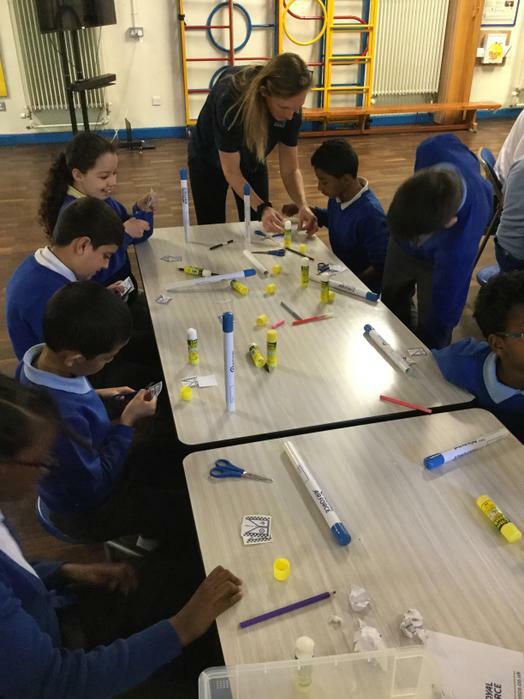 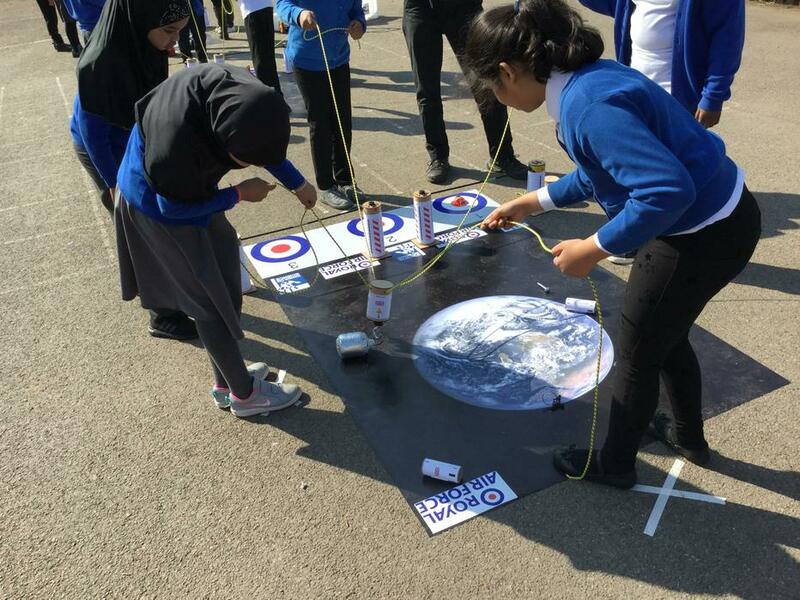 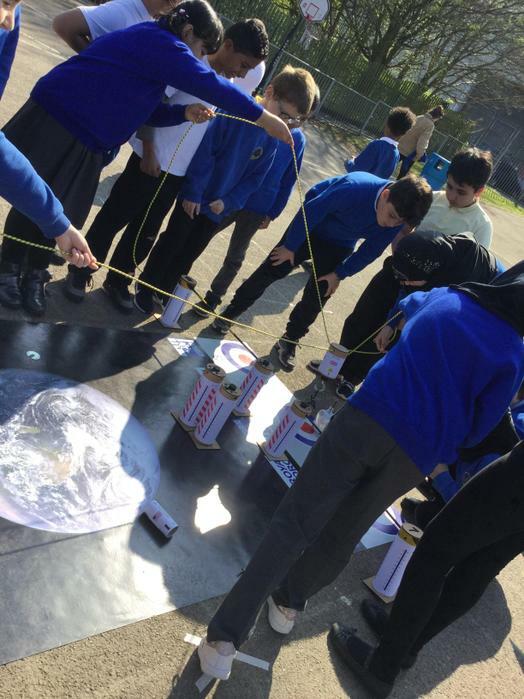 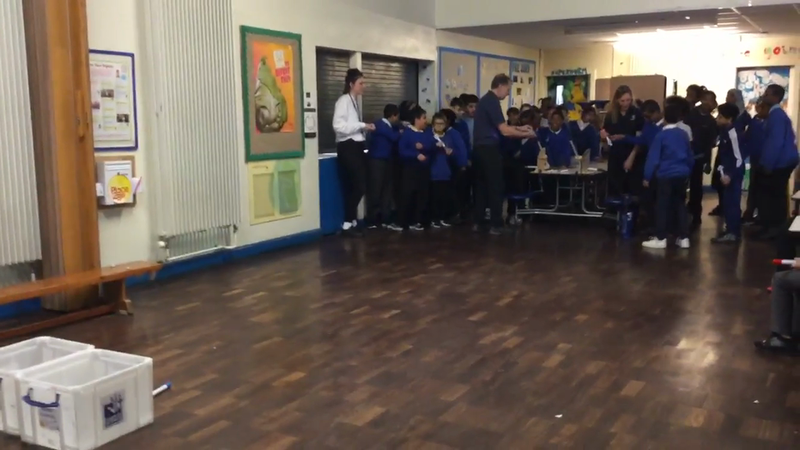 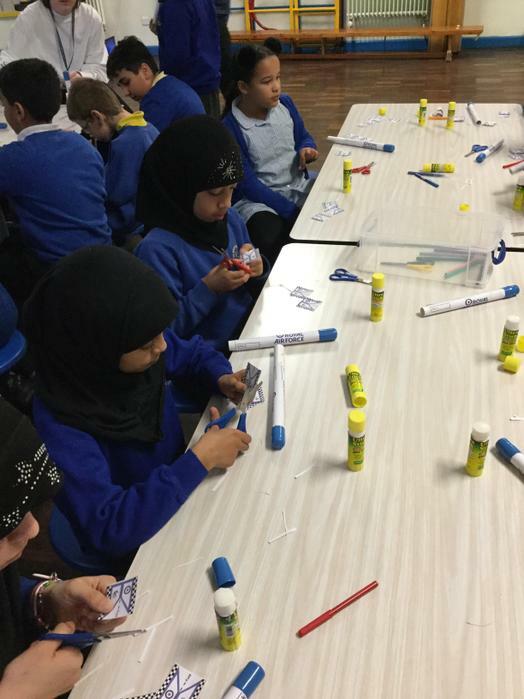 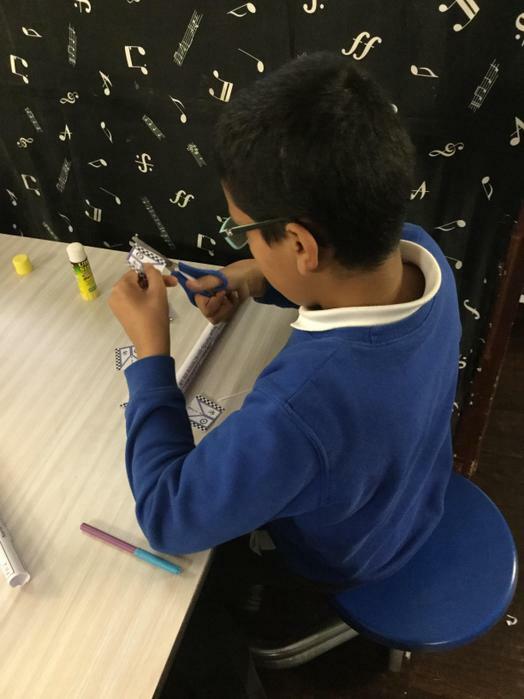 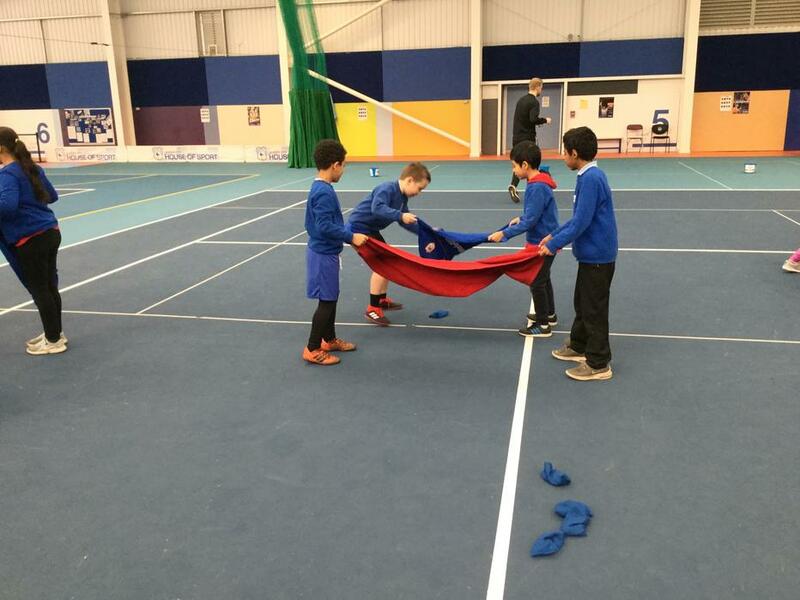 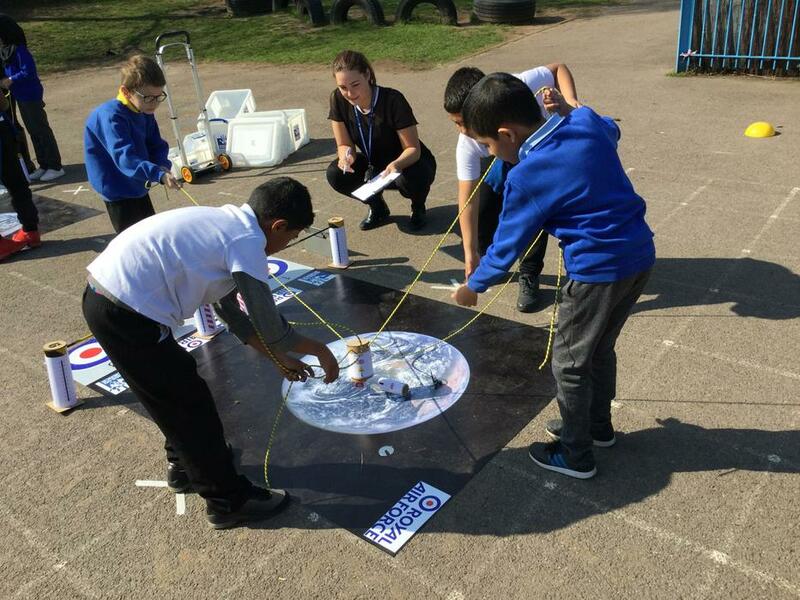 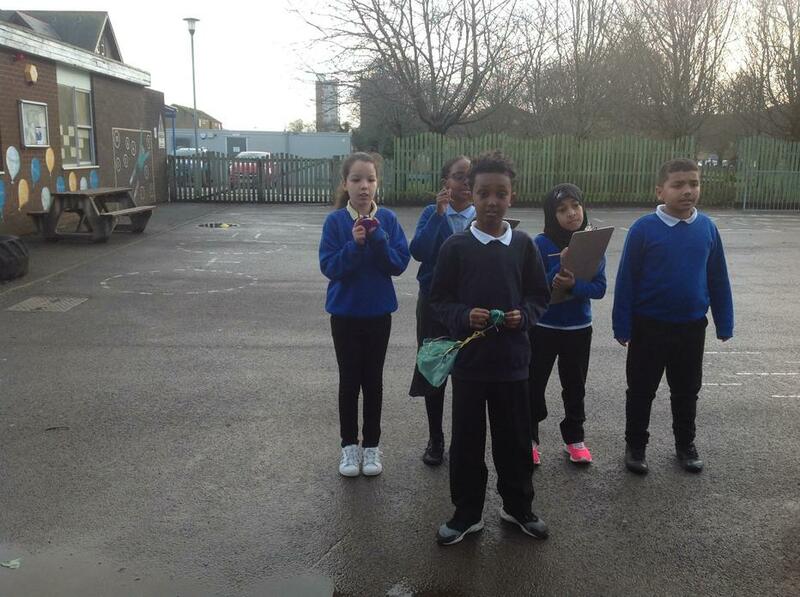 We made and launched our own rockets and helped to clean the atmosphere in space through team work! 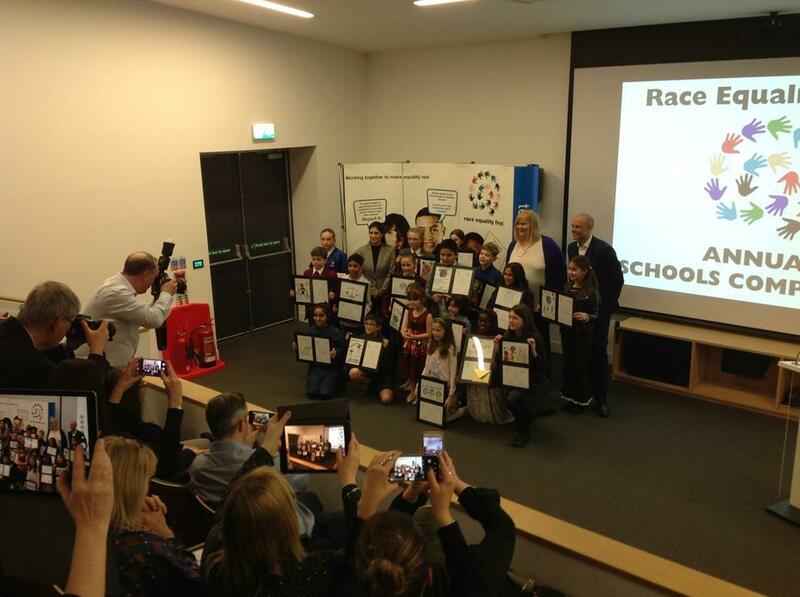 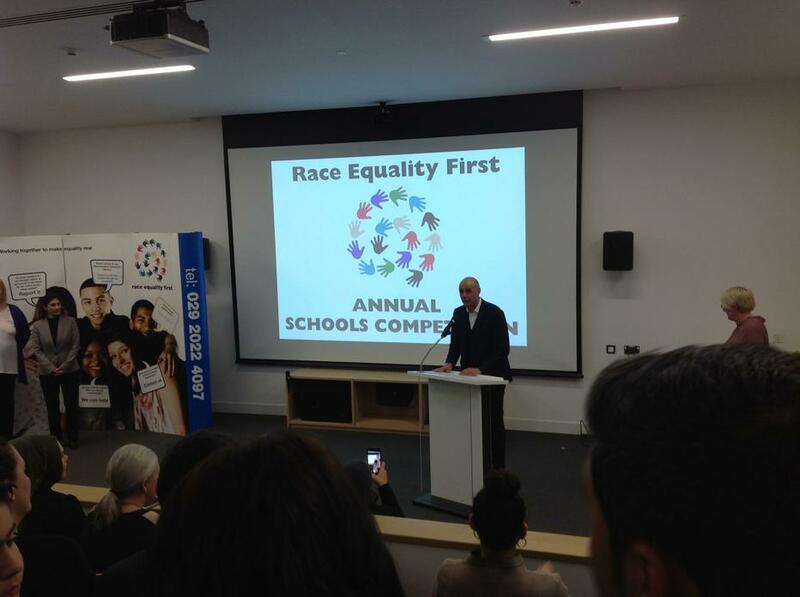 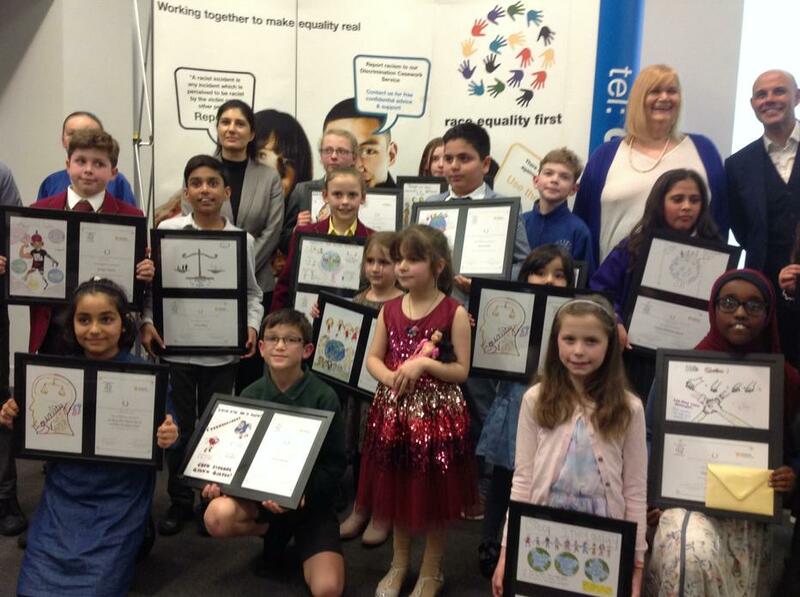 Two members of our class won the annual schools race equality poster competition. 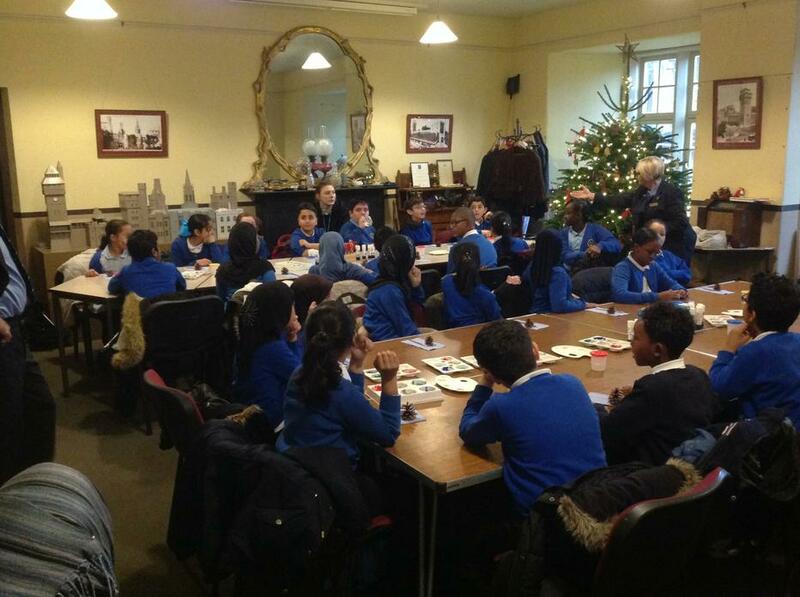 It was hosted by Jason Mohamed at St Fagans. 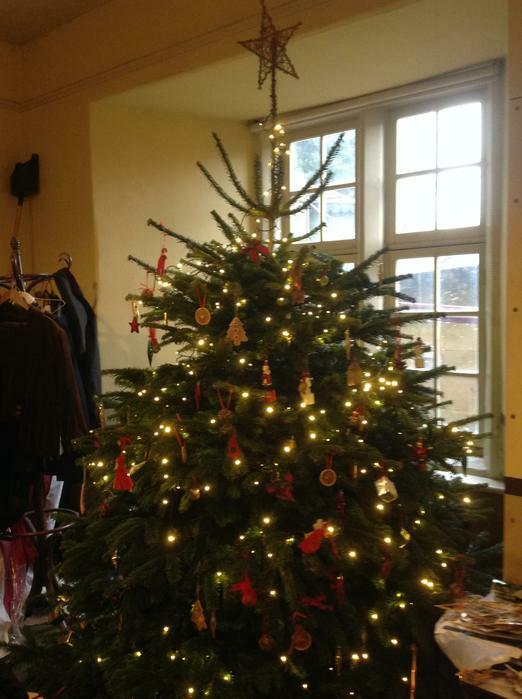 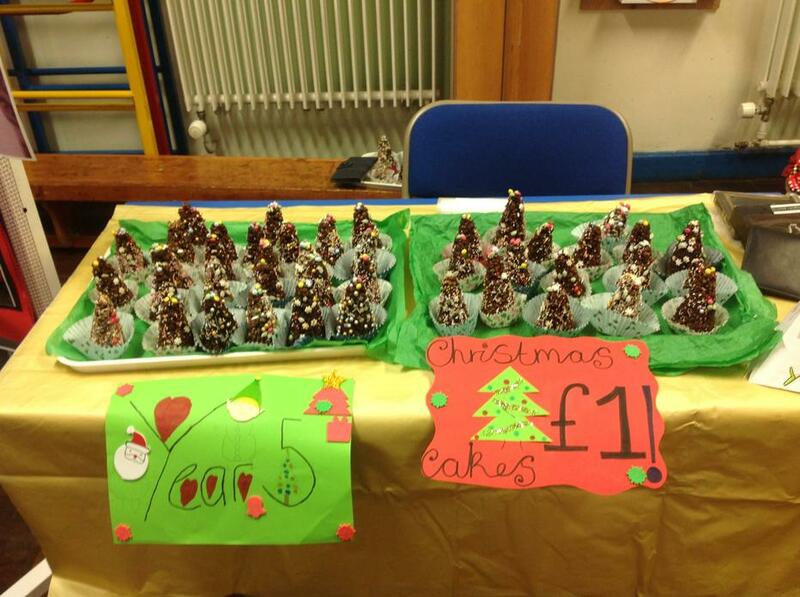 We were all very proud and had a lovely evening with pupils and families. 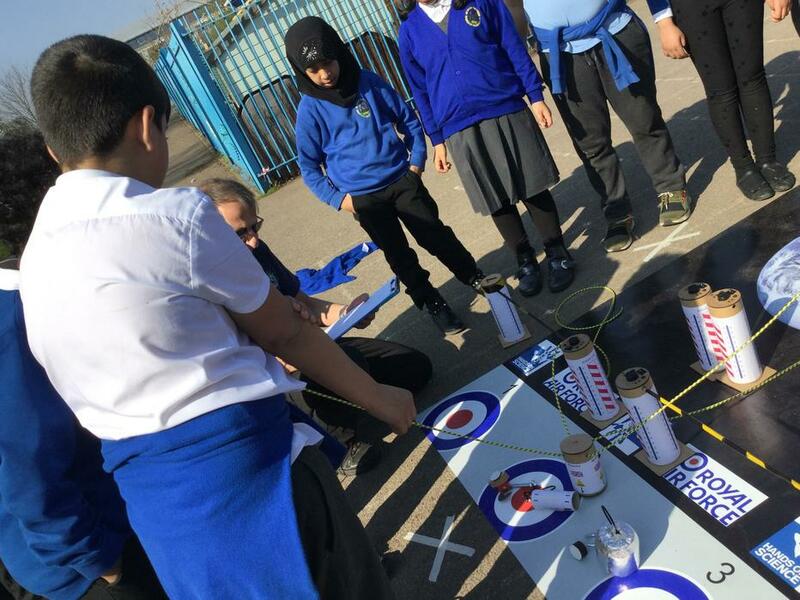 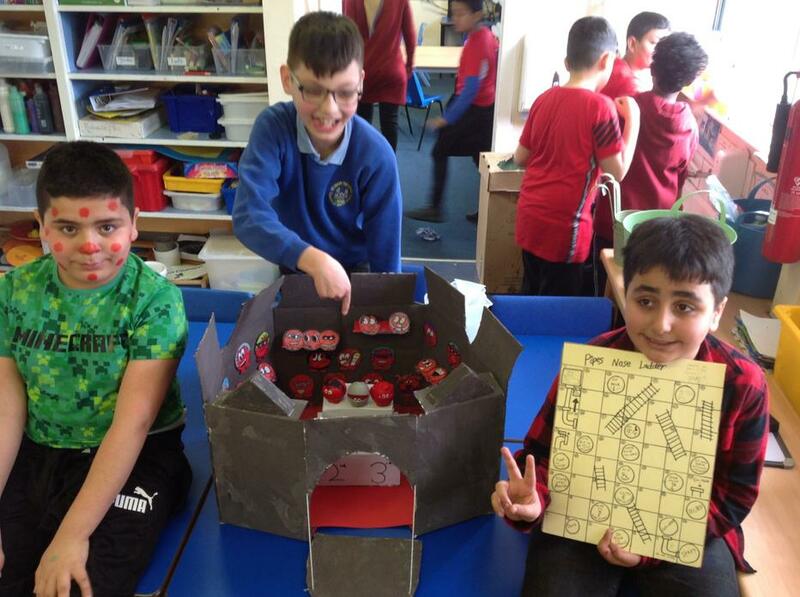 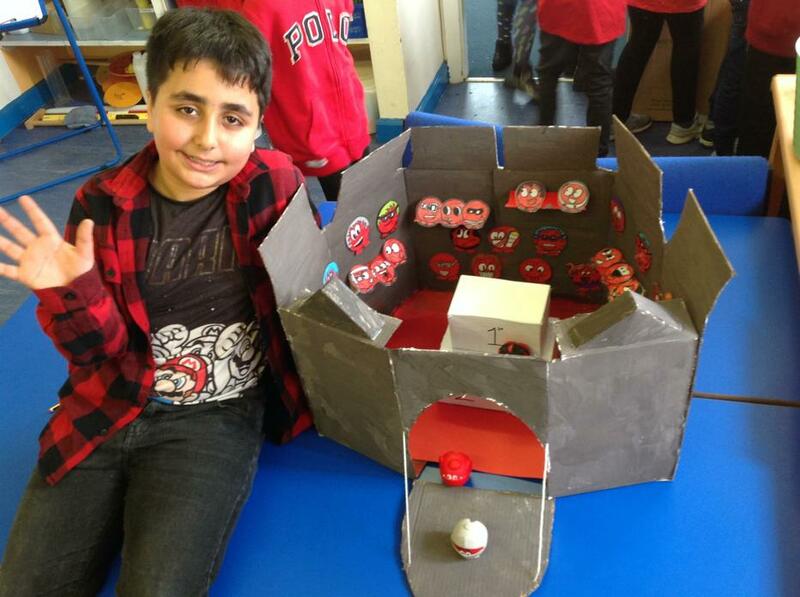 A member of our class and his team worked during their own time to create a game for our class to play to raise money for Comic Relief! 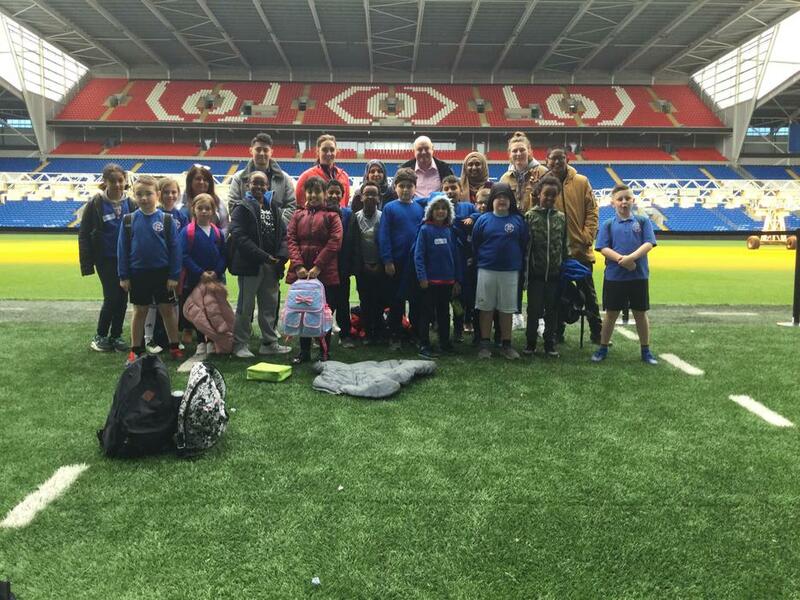 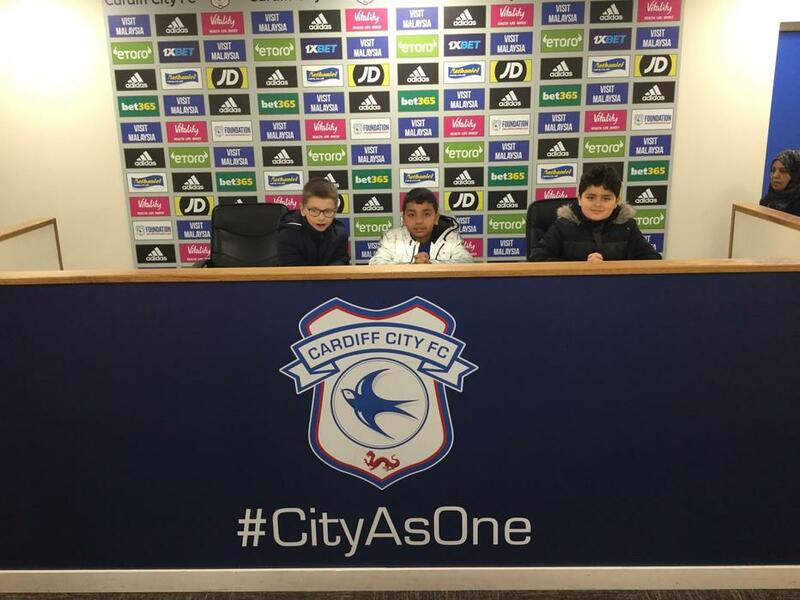 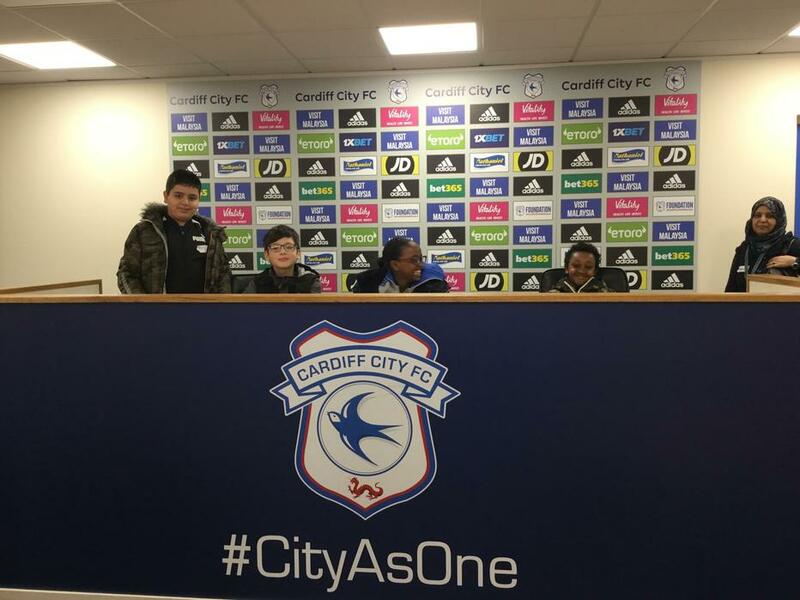 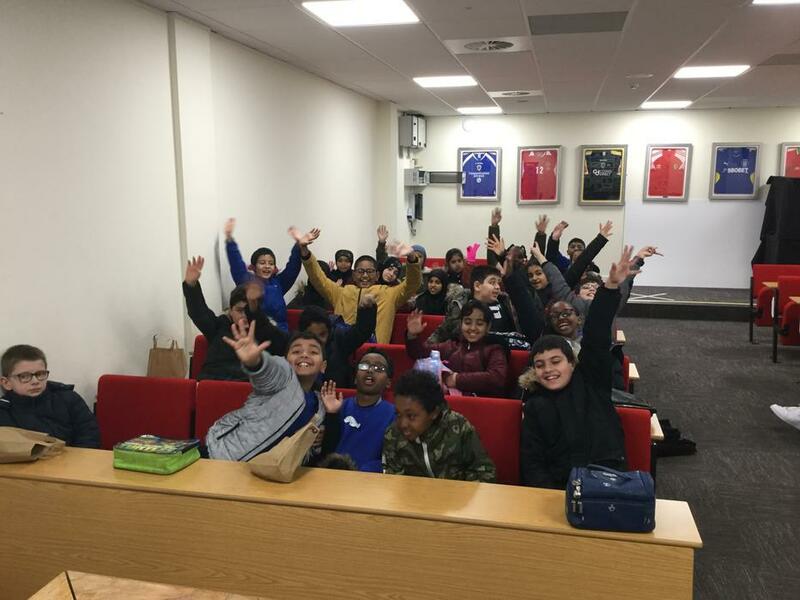 We finally got to meet our pen pals at Cardiff City Stadium! 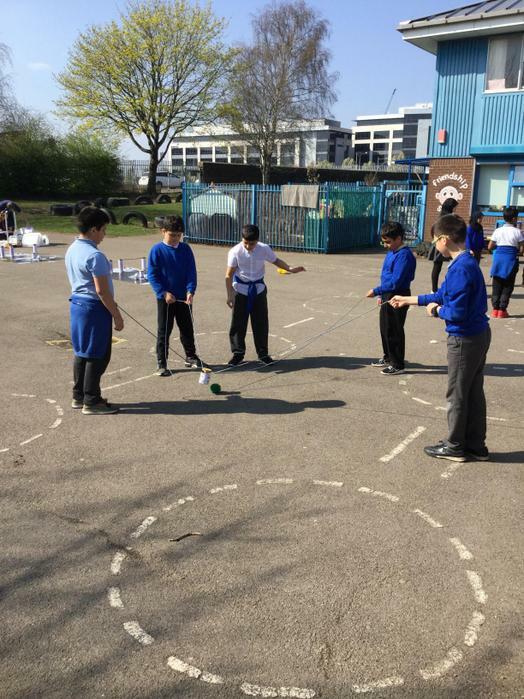 We felt nervous at first but we spent the day doing lots of team building activities and got to know our pen pals. 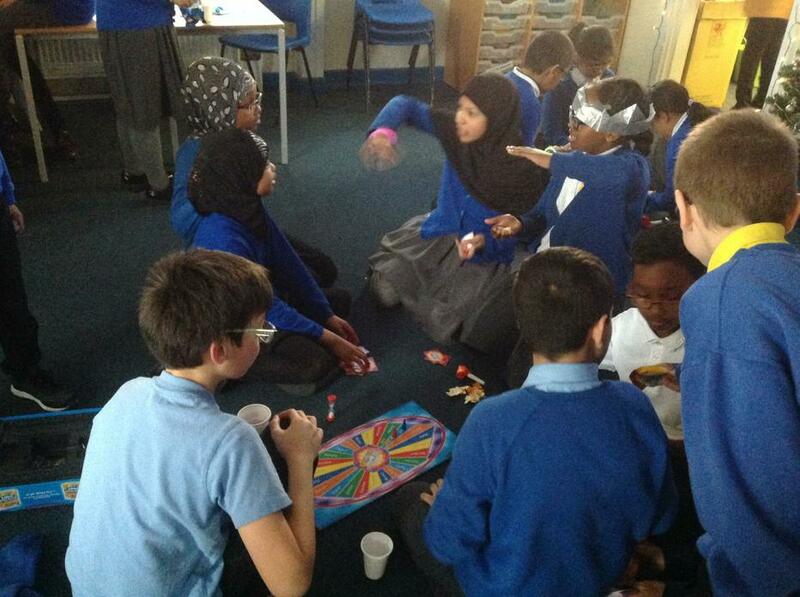 We learnt that we have many differences but even more things in common! 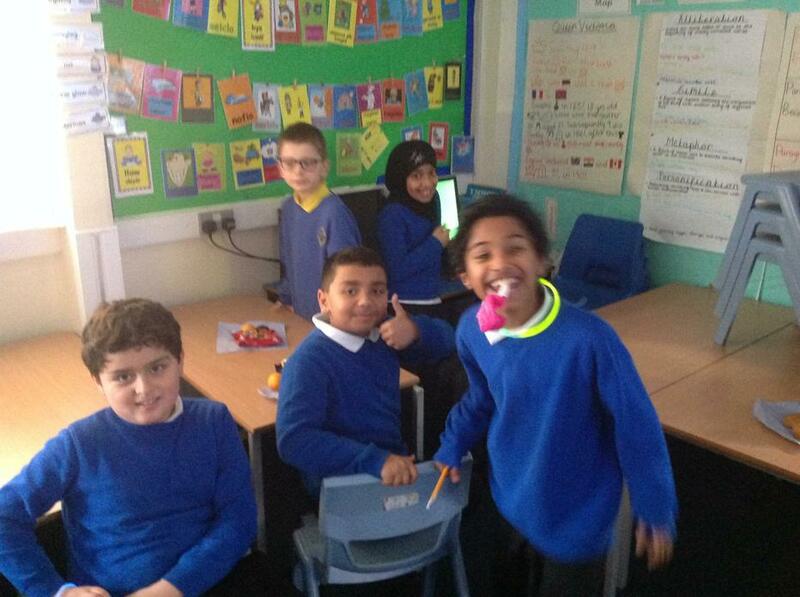 We can't wait to meet up with pen pals again. 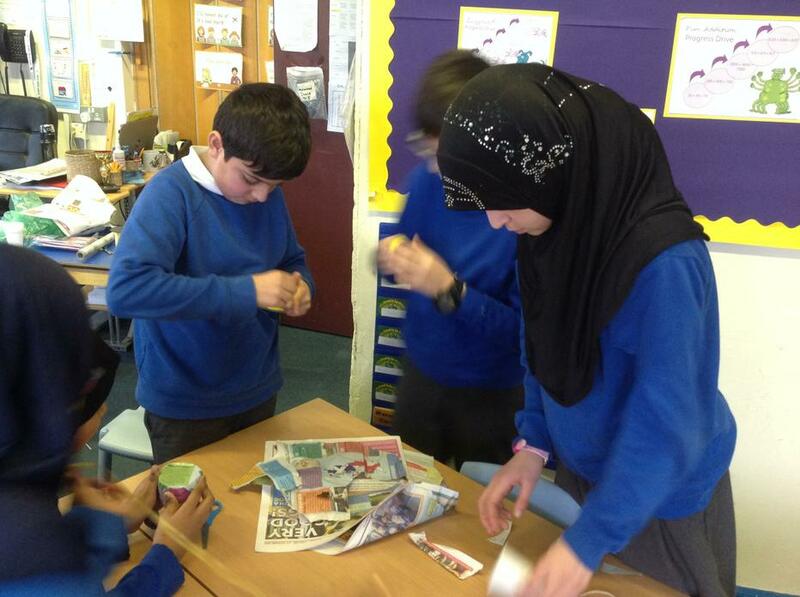 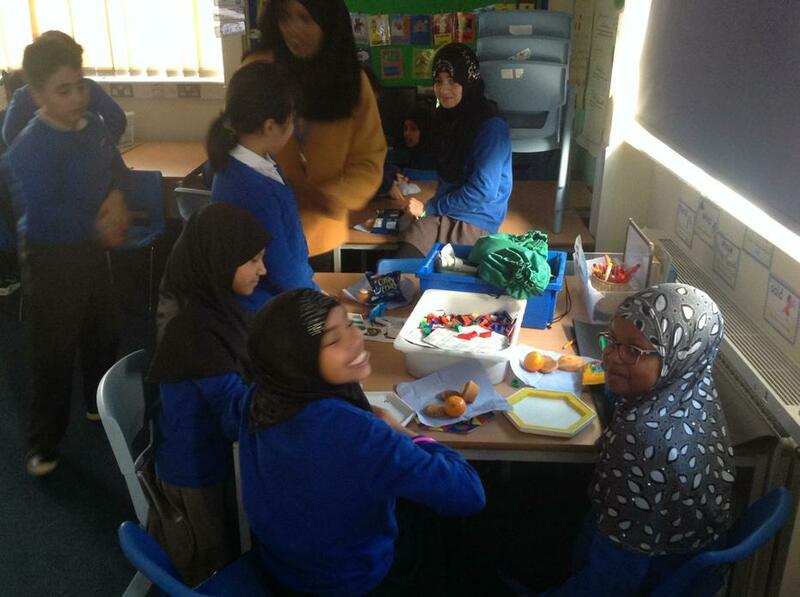 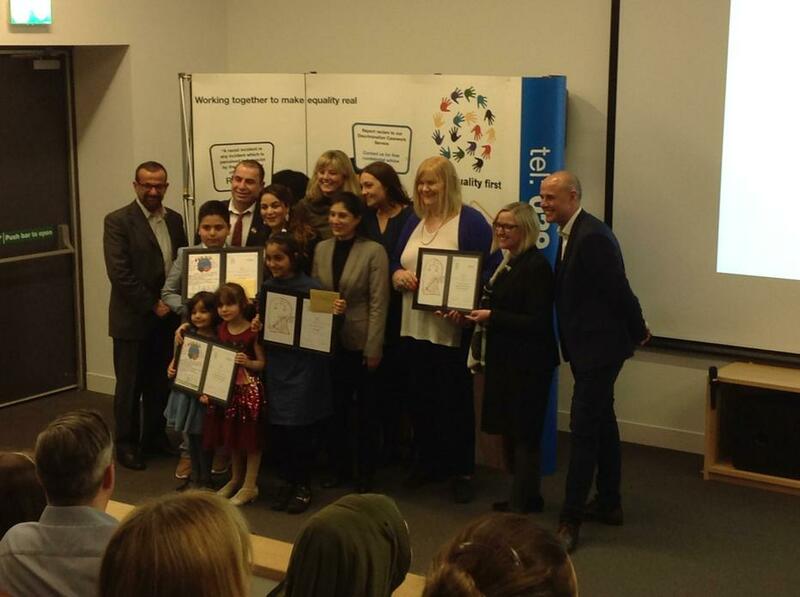 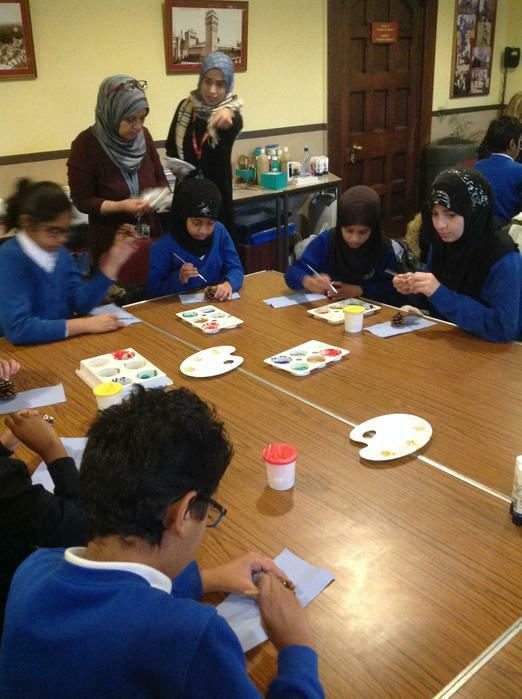 As part of a project of an exciting School Twinning Project, The ‘Young Ambassadors for Shared Values project ’. 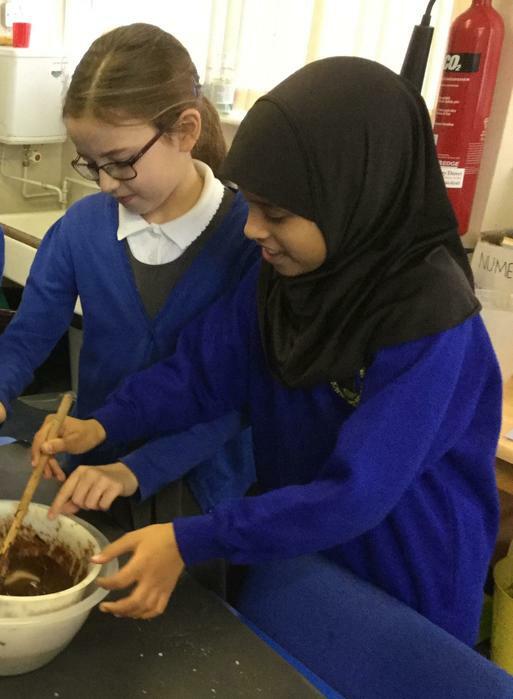 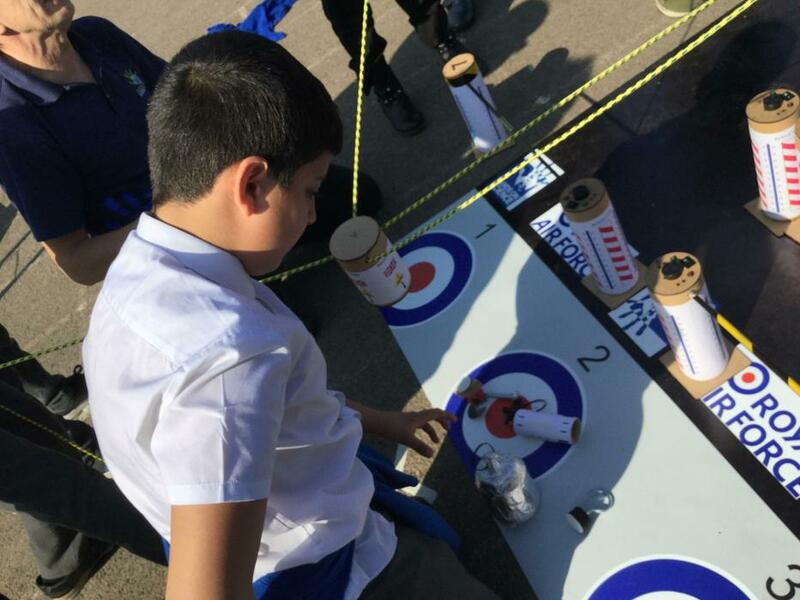 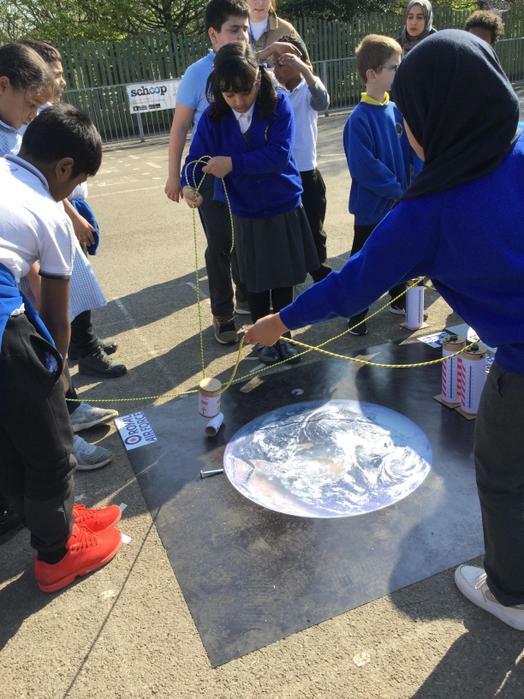 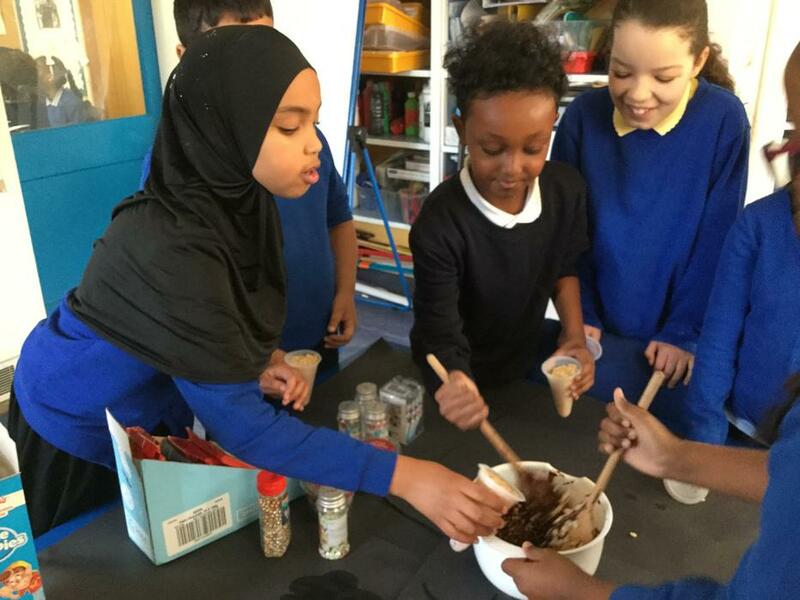 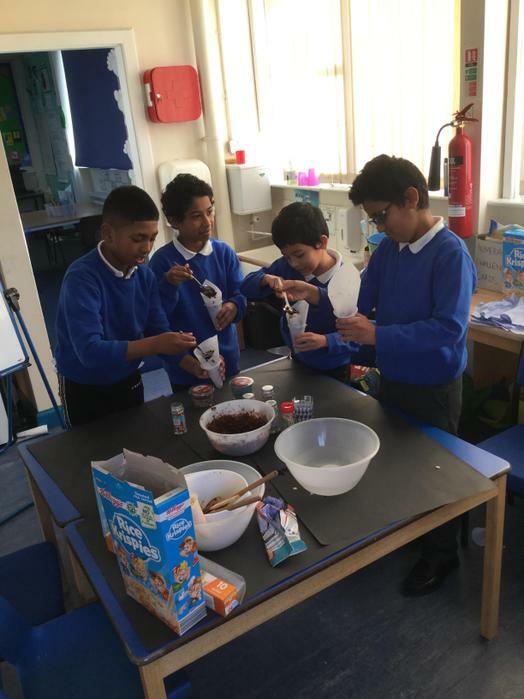 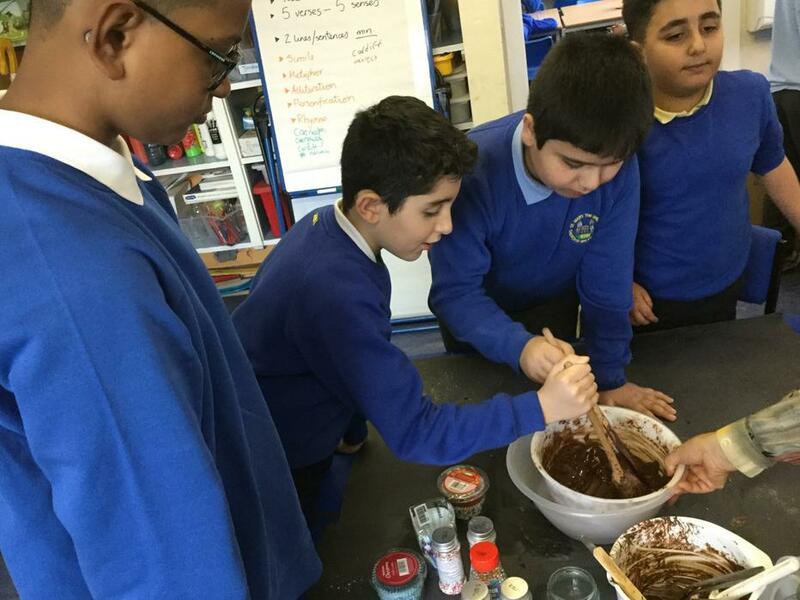 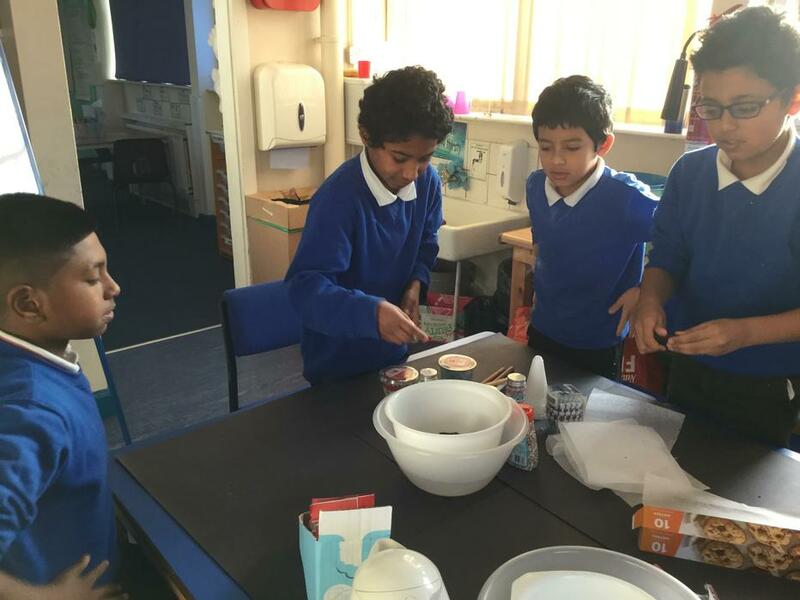 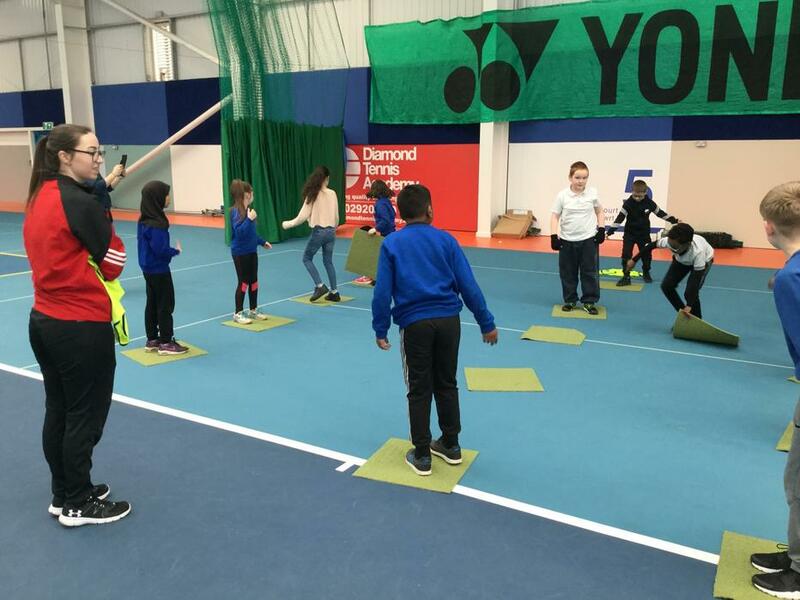 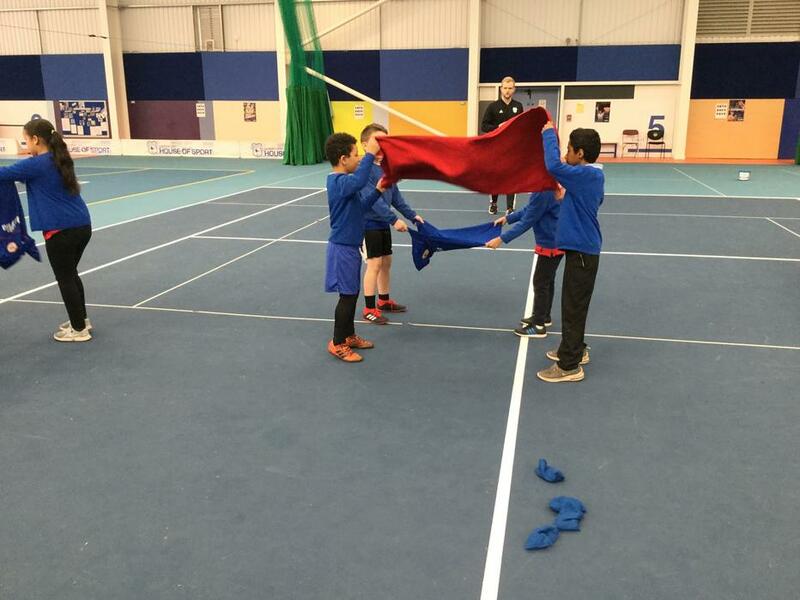 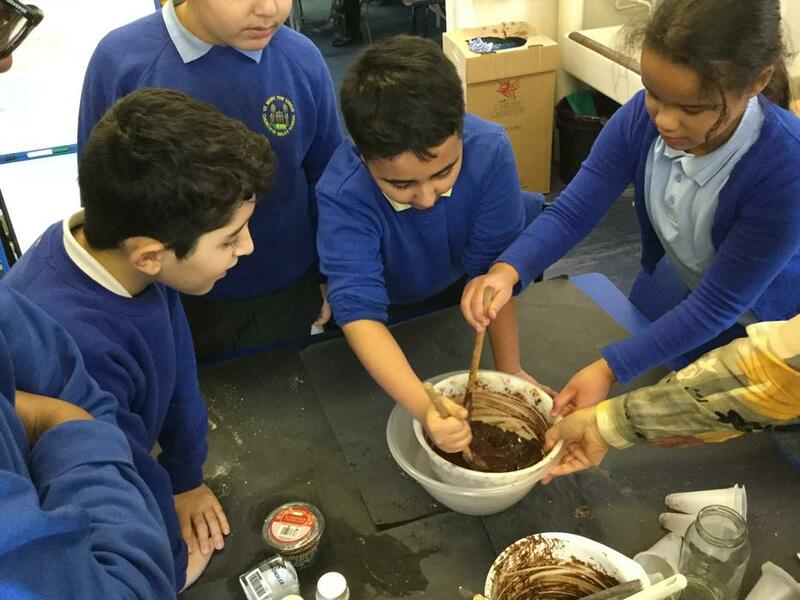 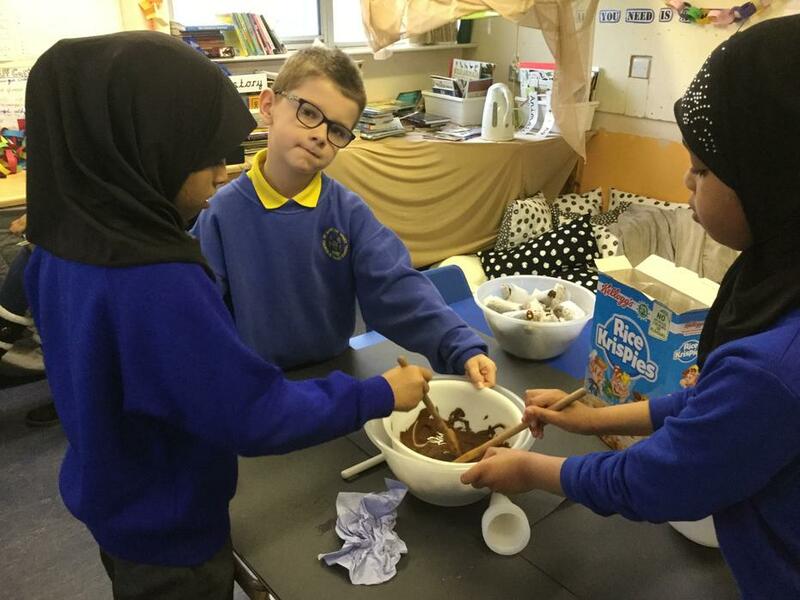 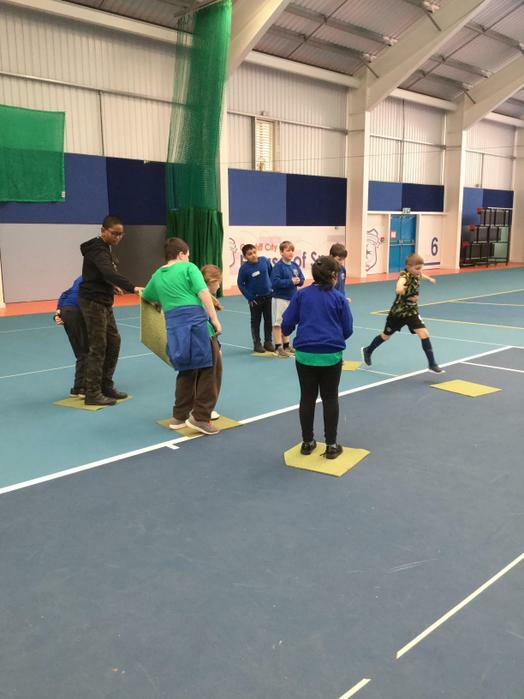 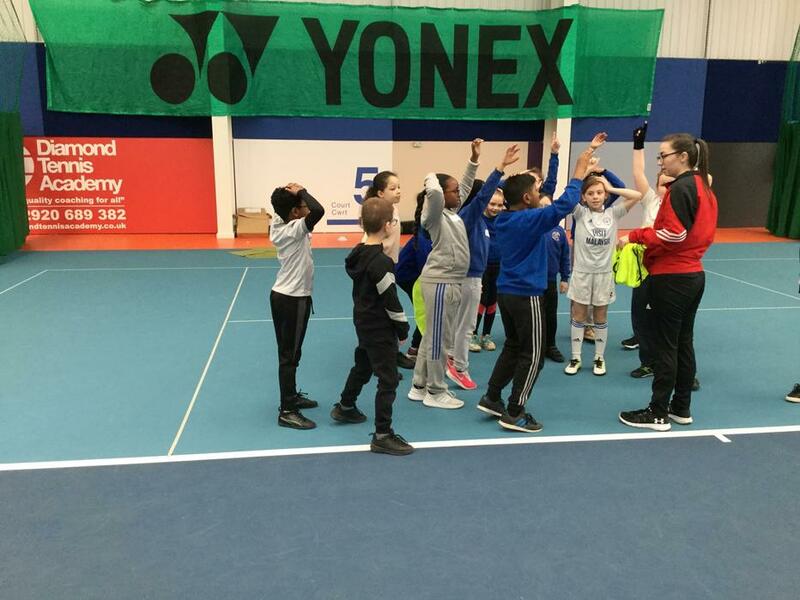 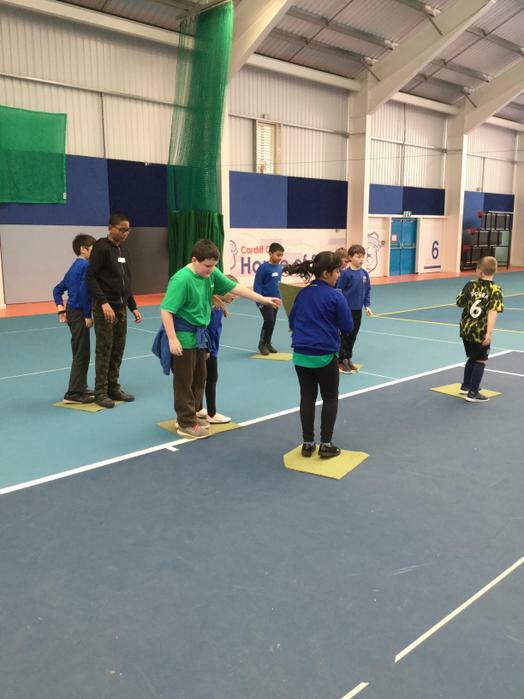 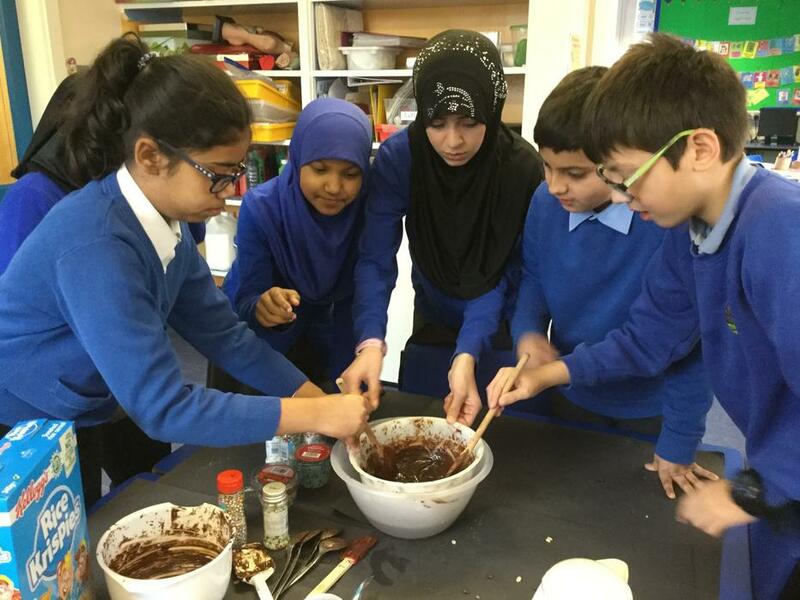 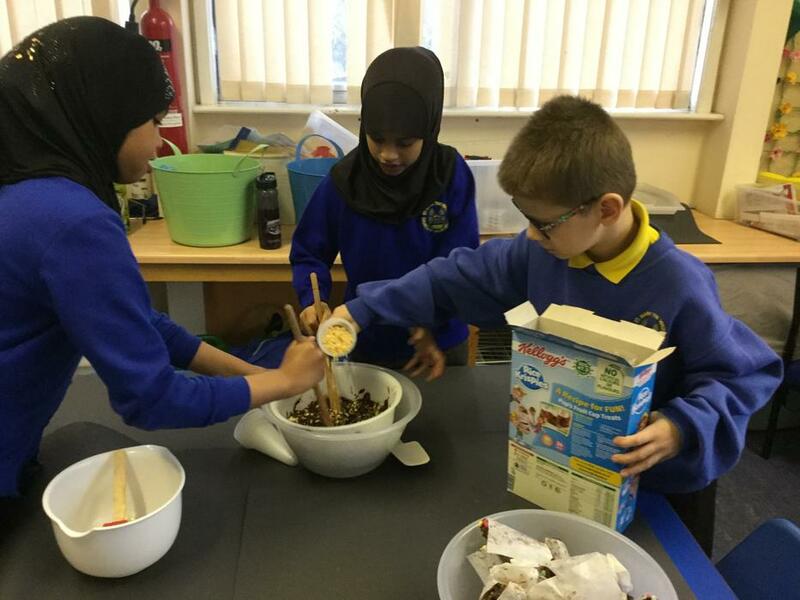 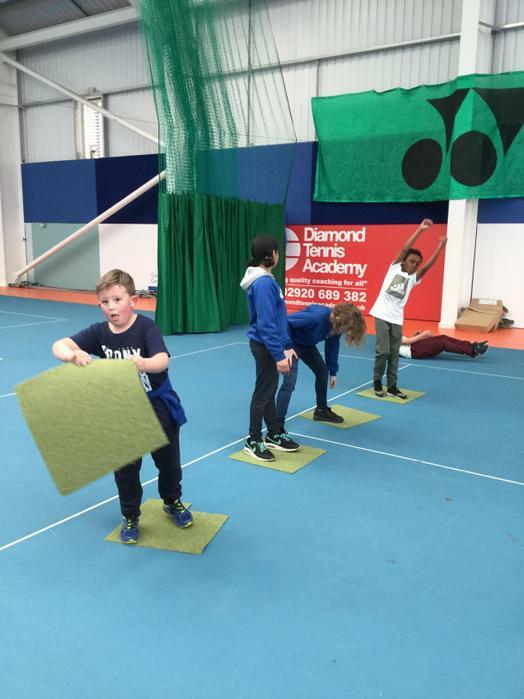 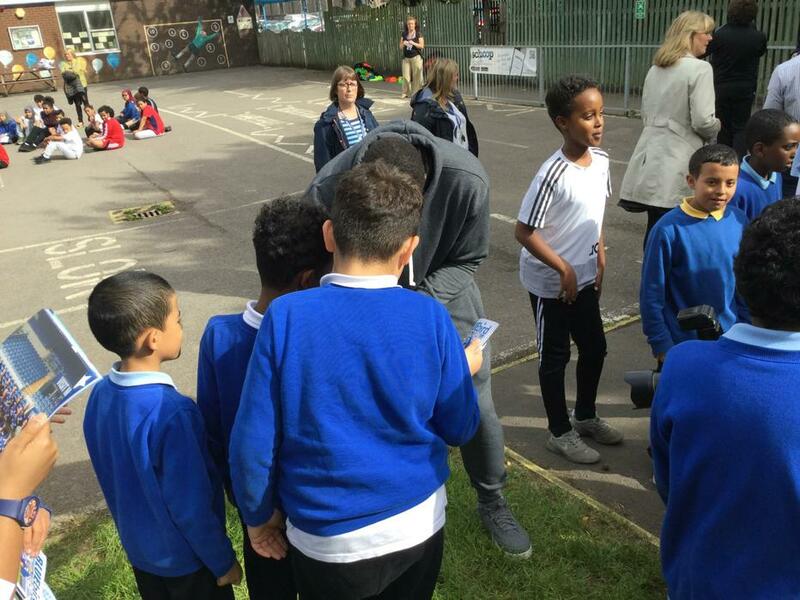 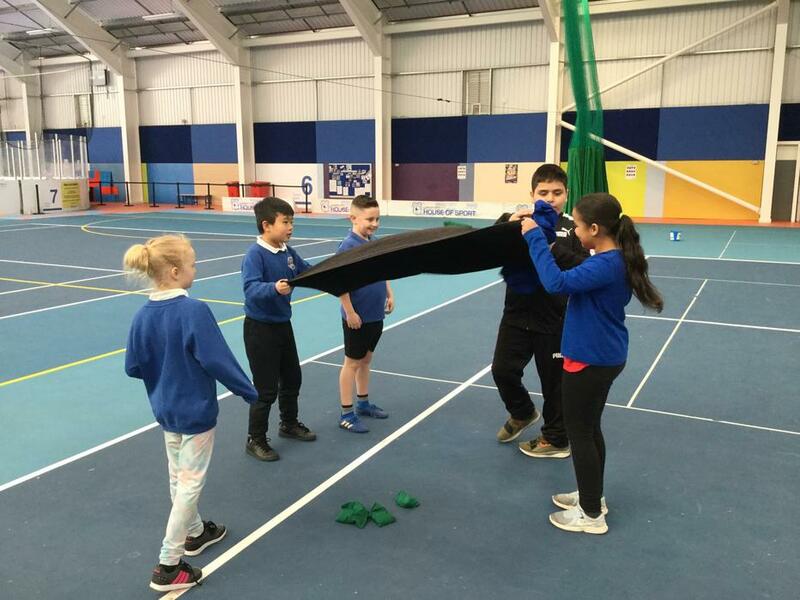 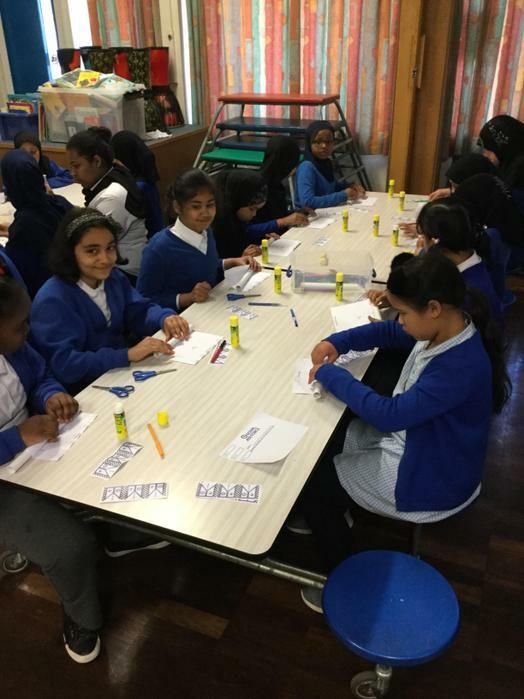 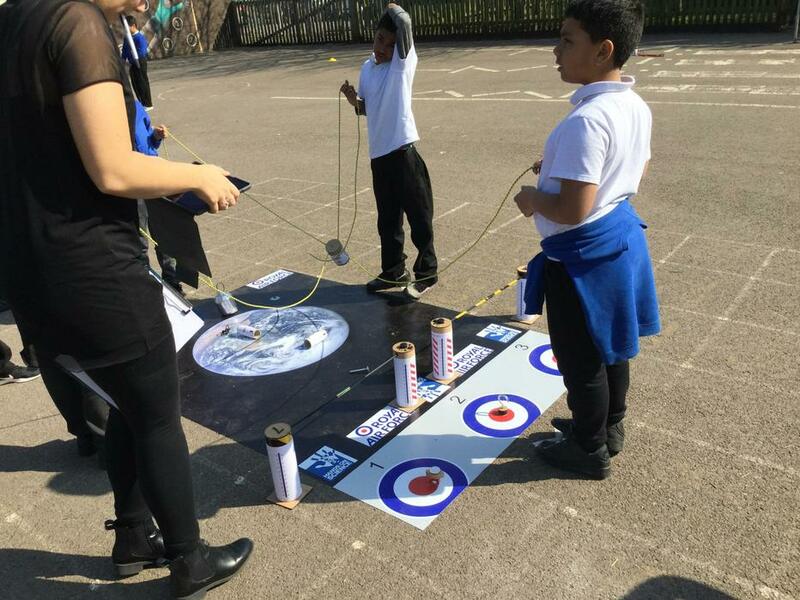 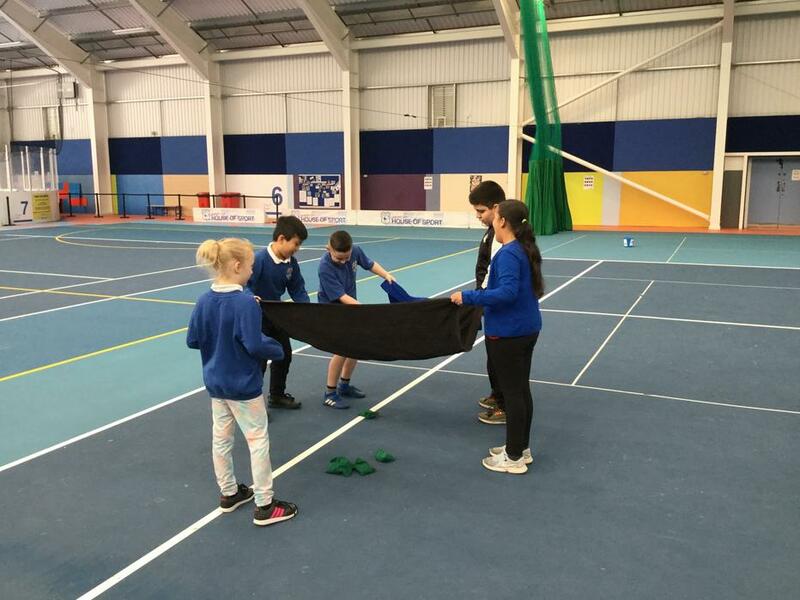 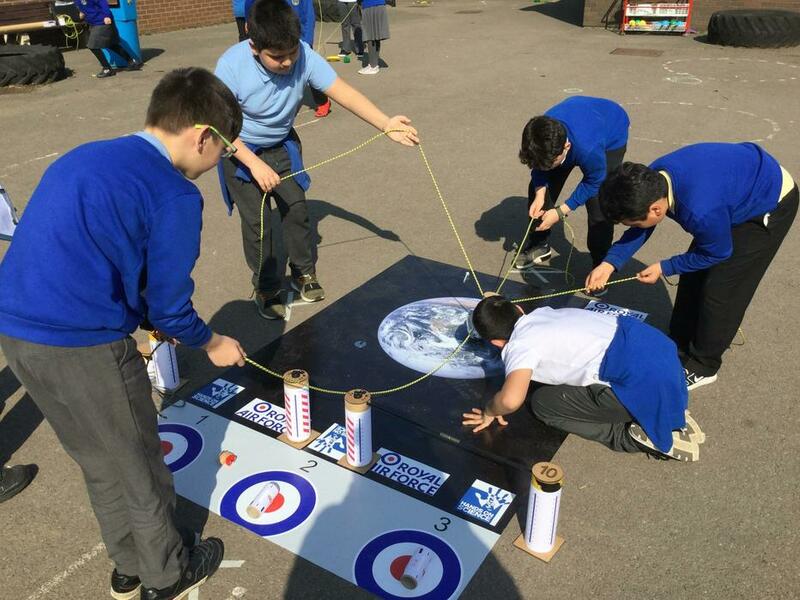 Taking part in the Young Ambassadors project will see your child become involved in a variety of activities that will allow for shared learning experiences alongside the children from our twinned school. 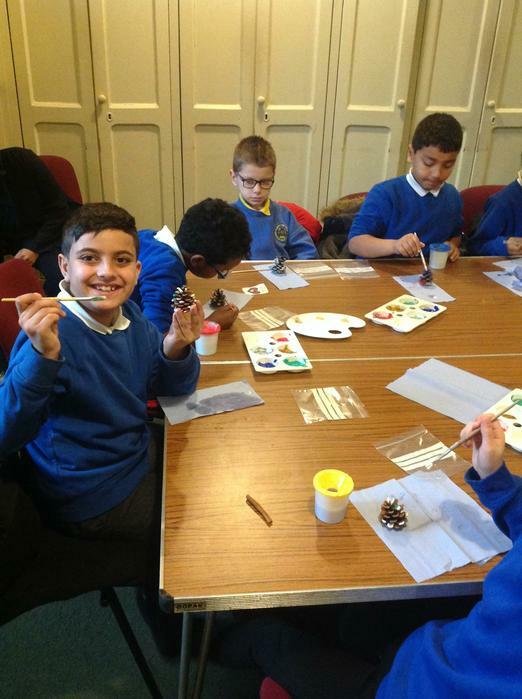 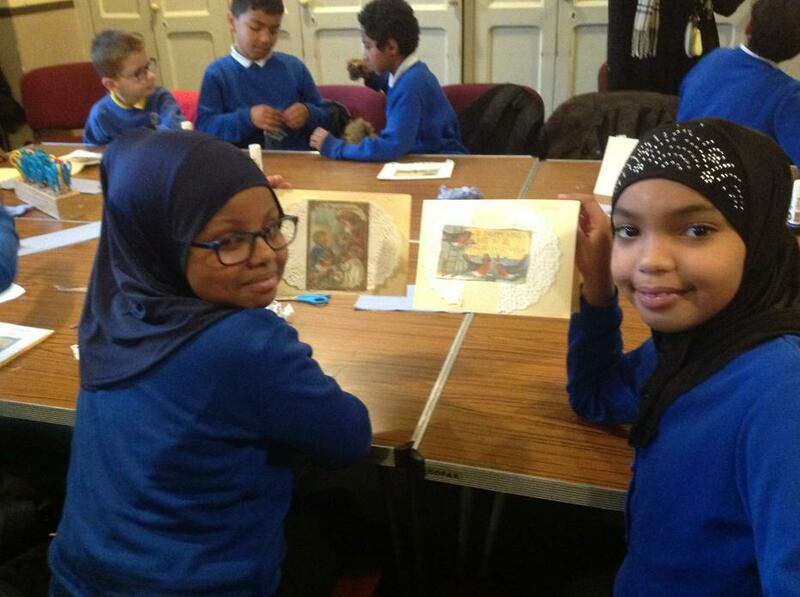 These activities will allow the children the opportunity to increase their knowledge and understanding of the diverse history, nature and cultures of their different communities in a fun and enjoyable way. 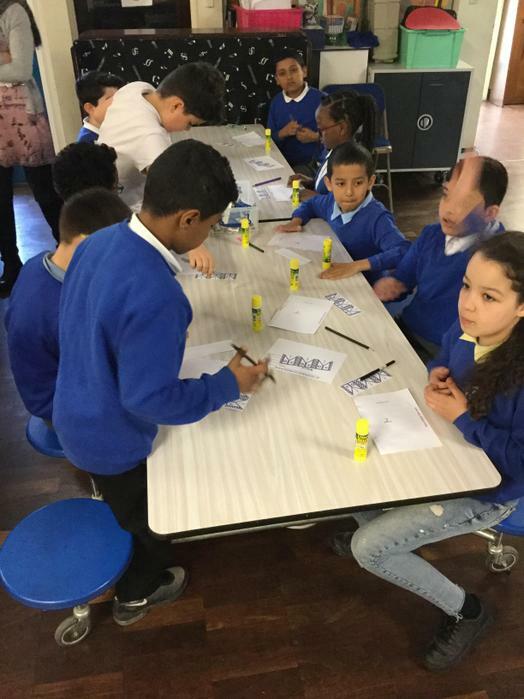 We wrote letters to our 'pen pals' in our Twinning school. 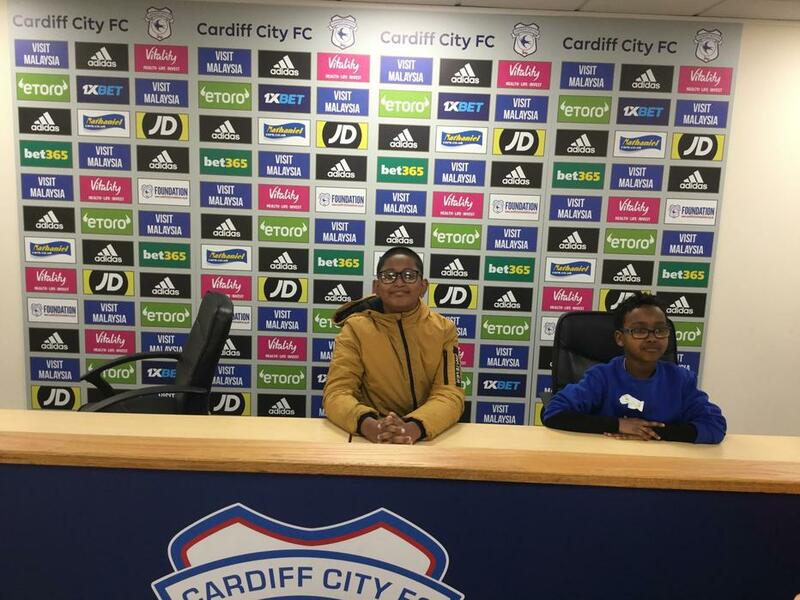 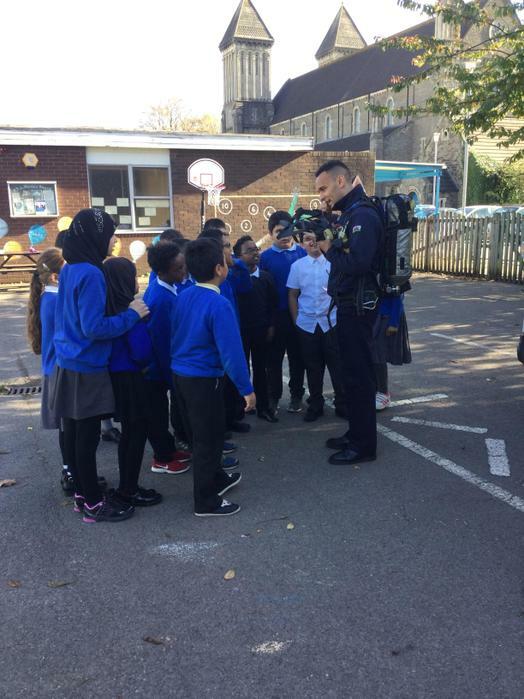 Our school is in the heart of Cardiff and their school is in the Valleys, so we were very excited to get a reply from somewhere so far away. 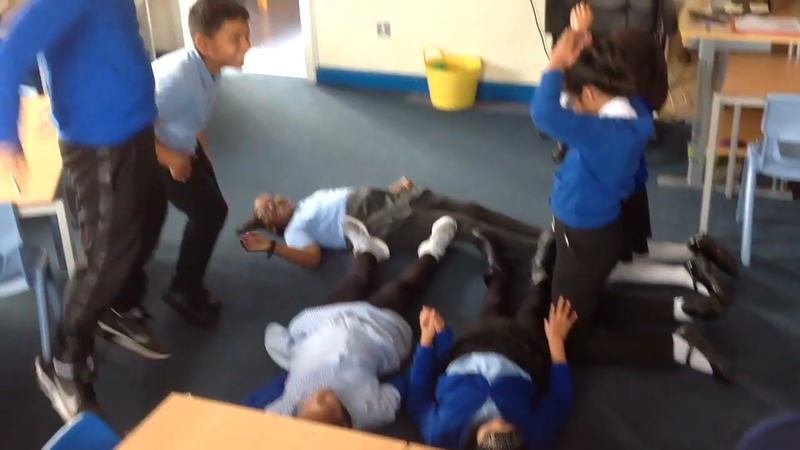 We finally received the replies back and we couldn't contain our excitement! 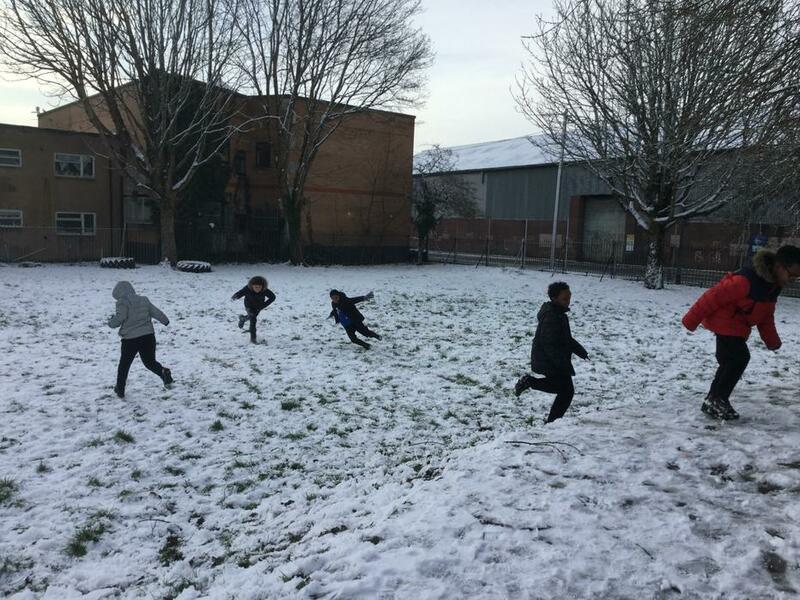 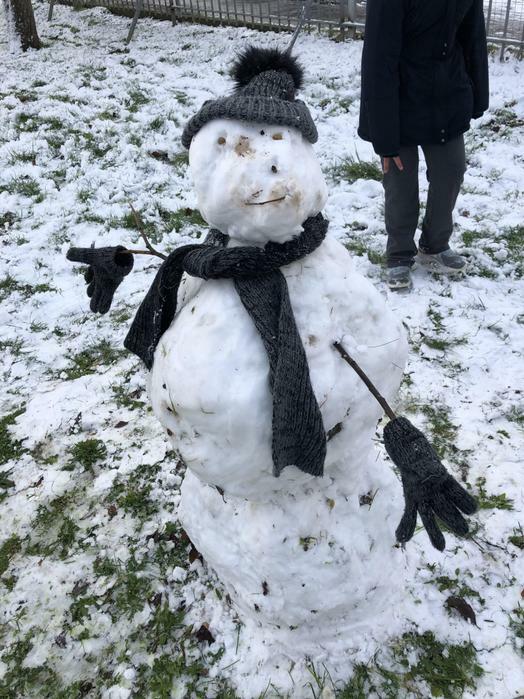 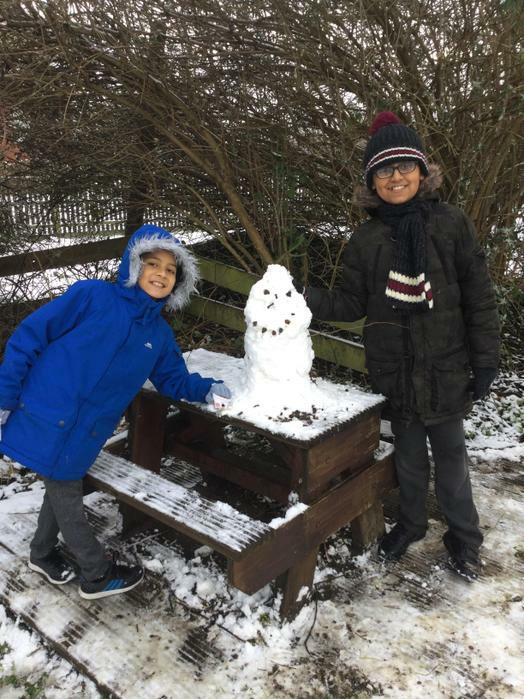 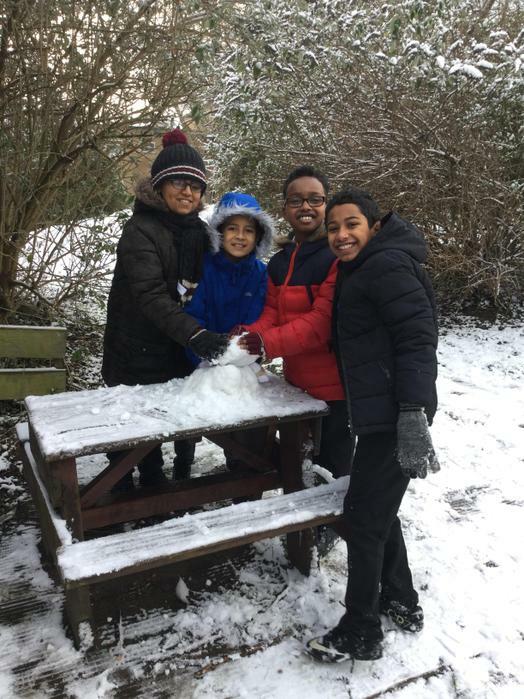 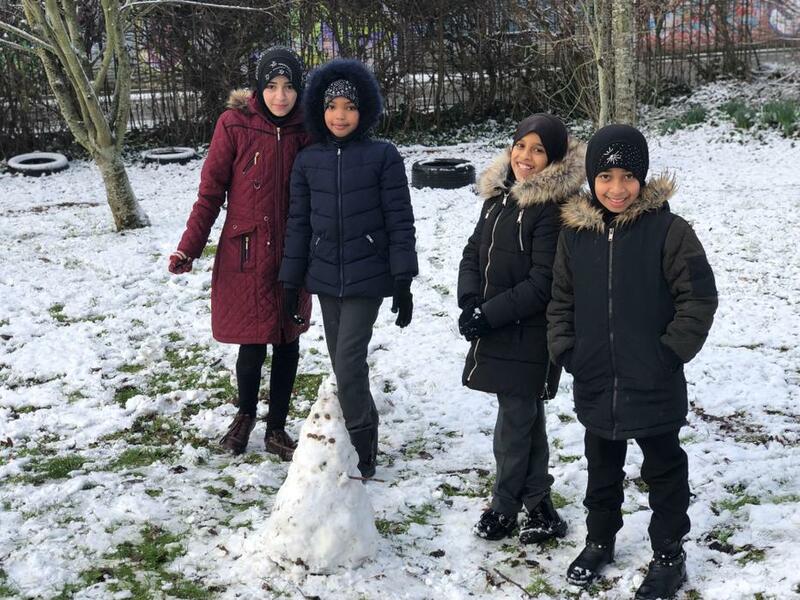 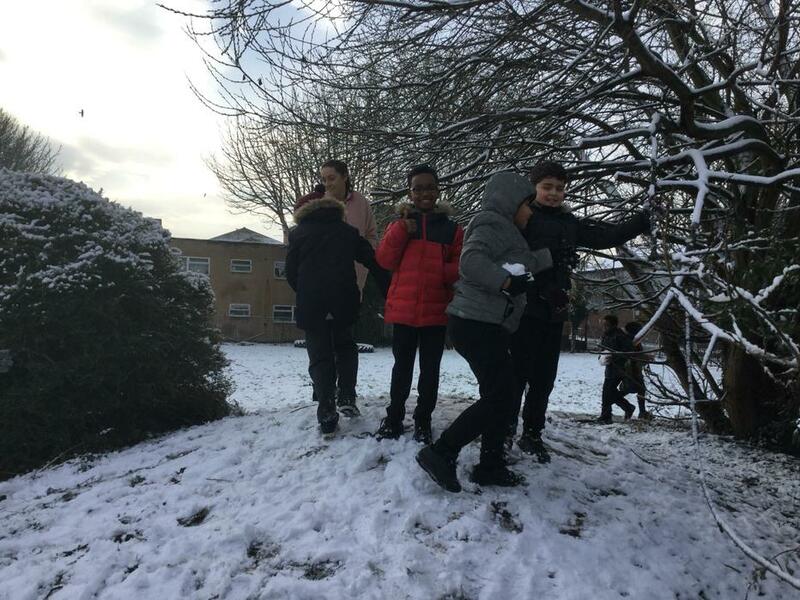 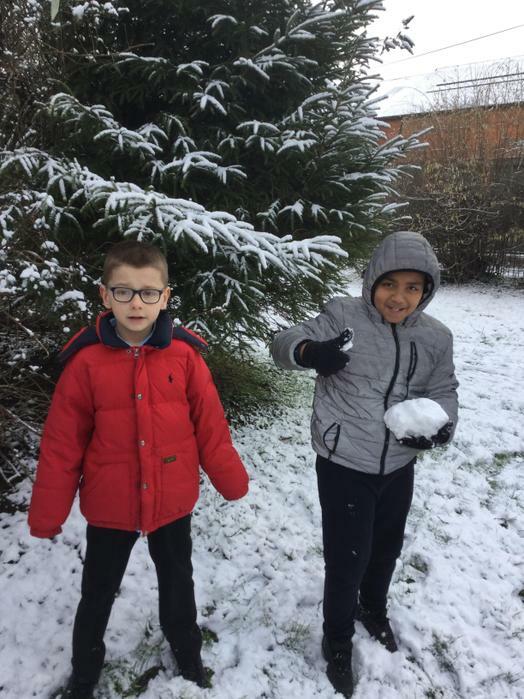 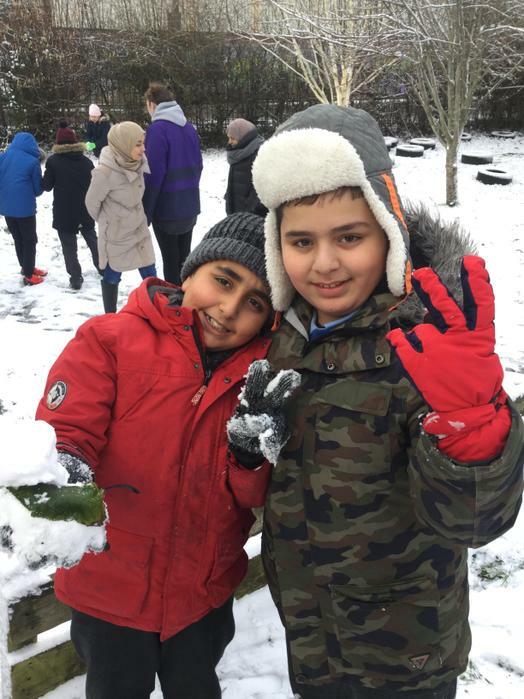 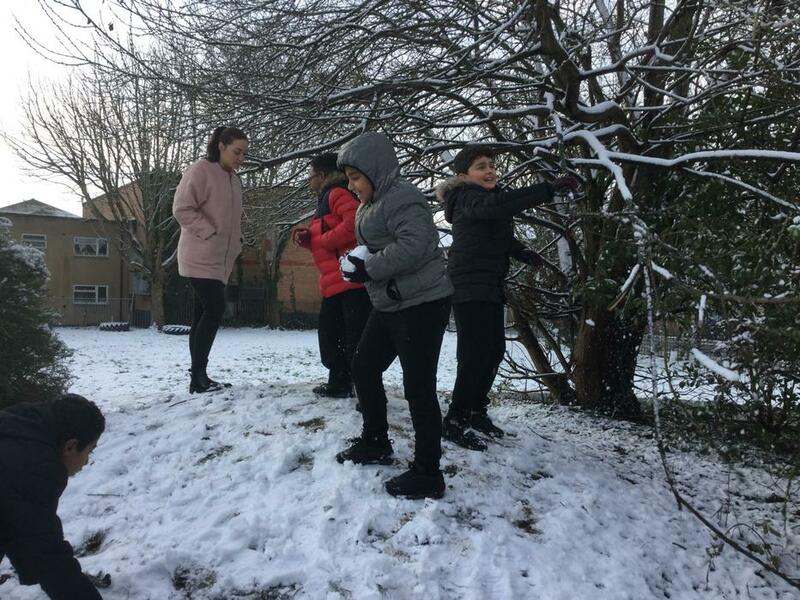 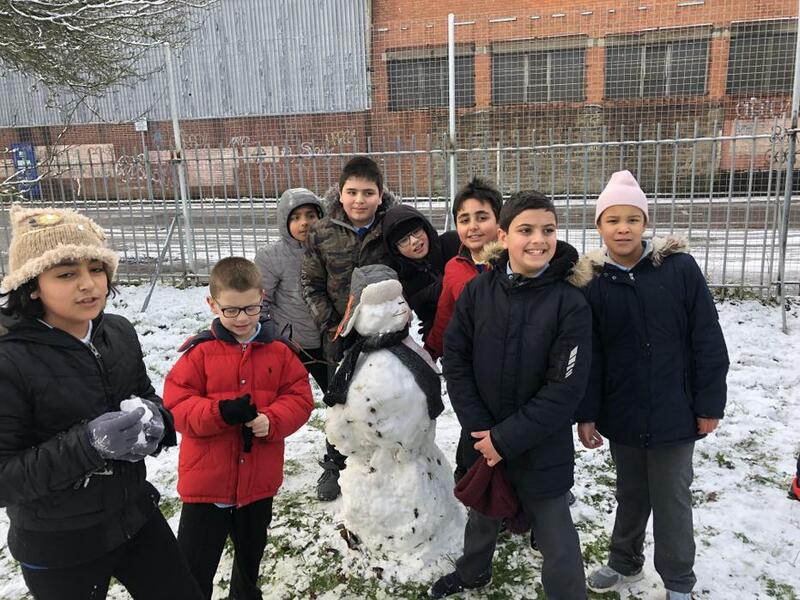 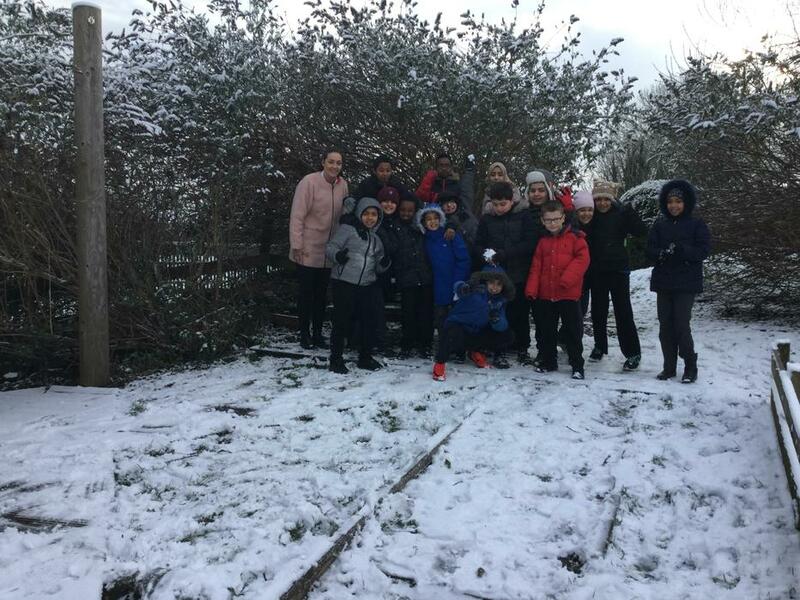 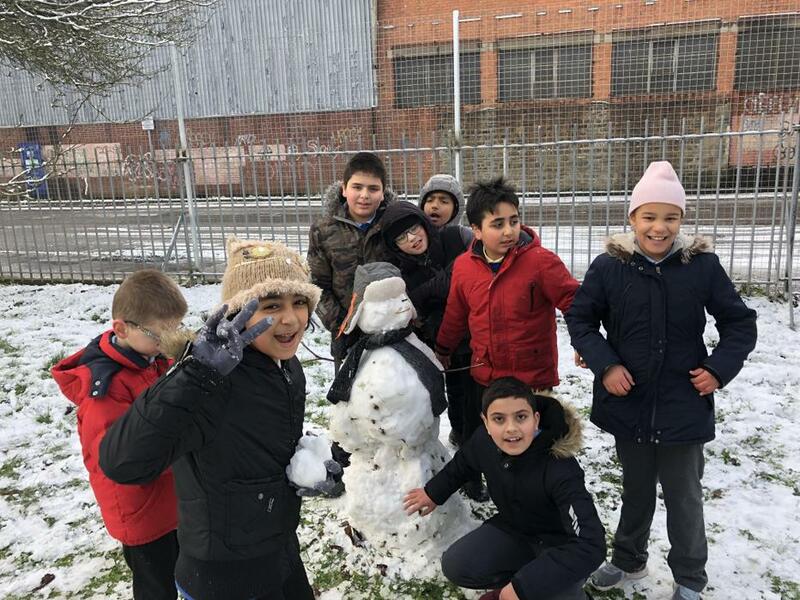 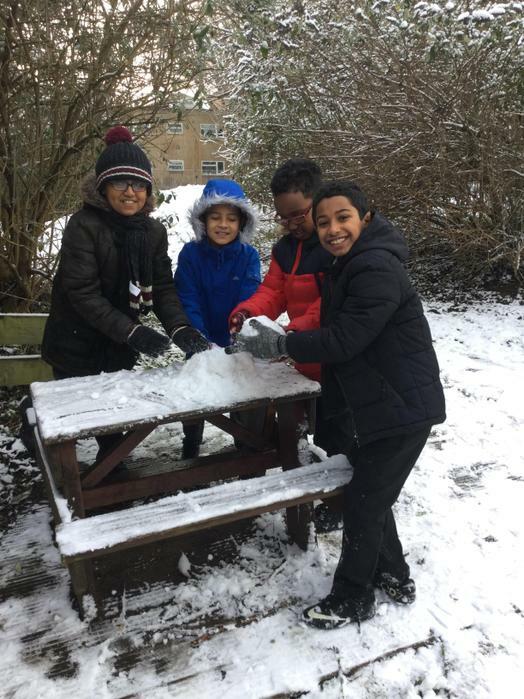 Enjoying the snow in February 2019! 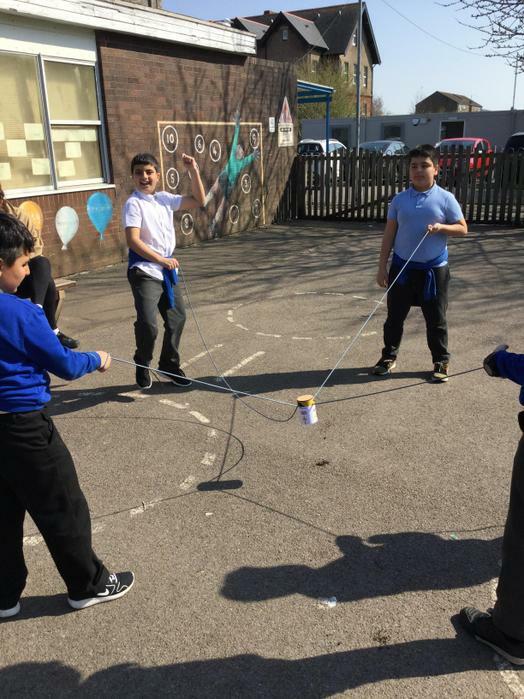 As a team building exercise we were all given the same equipment and had to use it to try and protect a RAW EGG when being dropped! 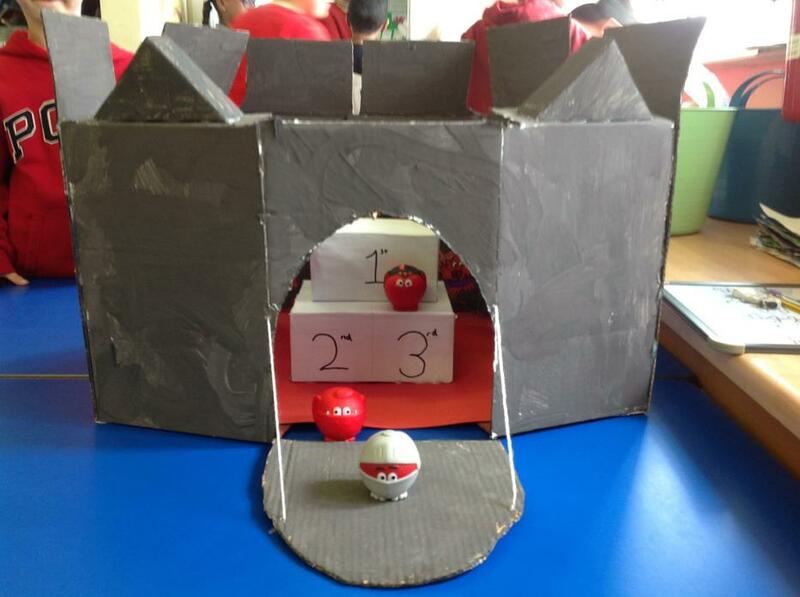 We had to use our science skills of predicting and thinking about forces and impact to try and protect this egg. 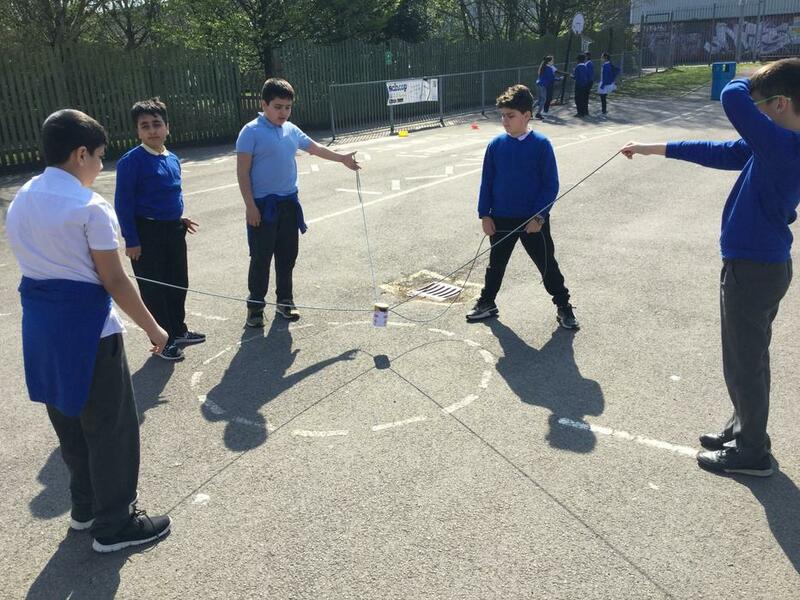 We had to communicate, work in our teams and share responsibility during this challenge. 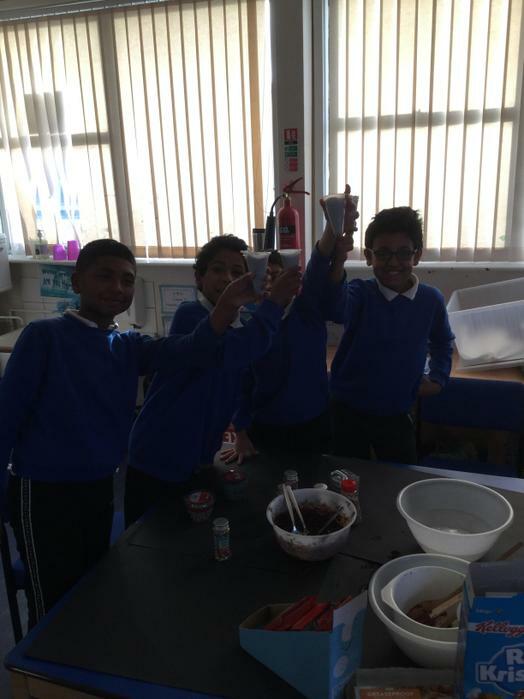 Here are some of our results. 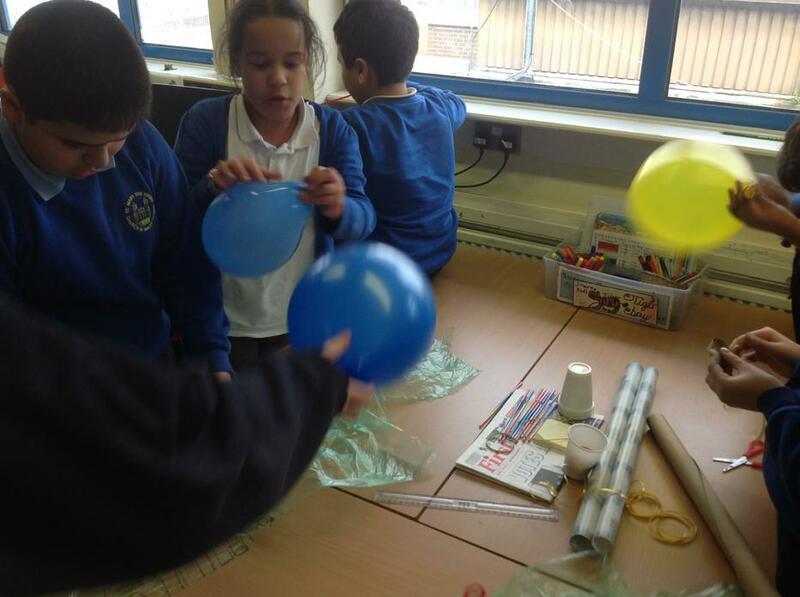 While exploring forces in Science we made our own parachutes to test see how Gravity and Air Resistance work. 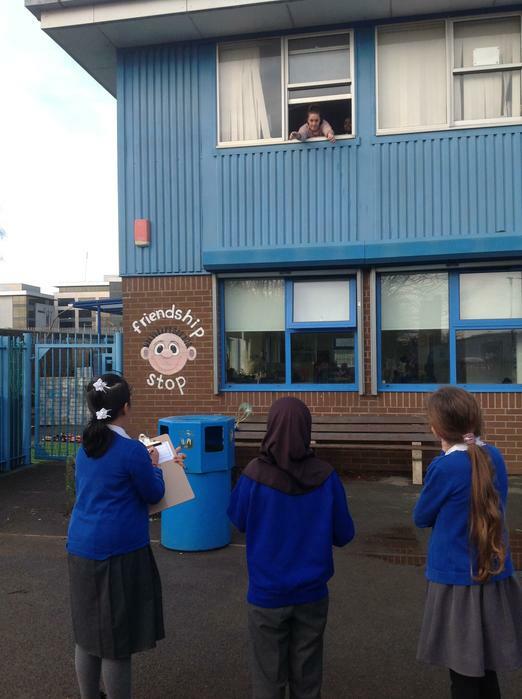 We dropped our parachutes from the classroom window and timed how long it took for them to hit the ground. 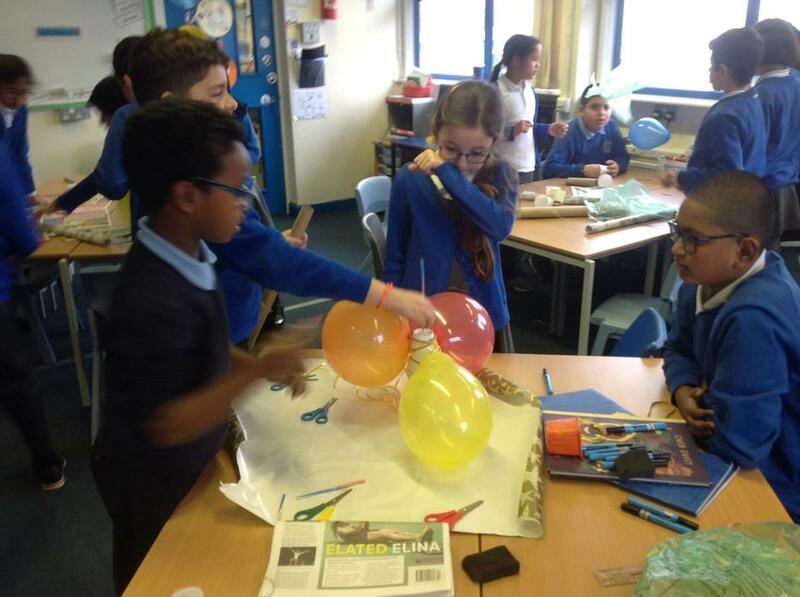 We found that the parachute with the larger surface area had the most Air Resistance acting against it so it took longer to hit the ground. 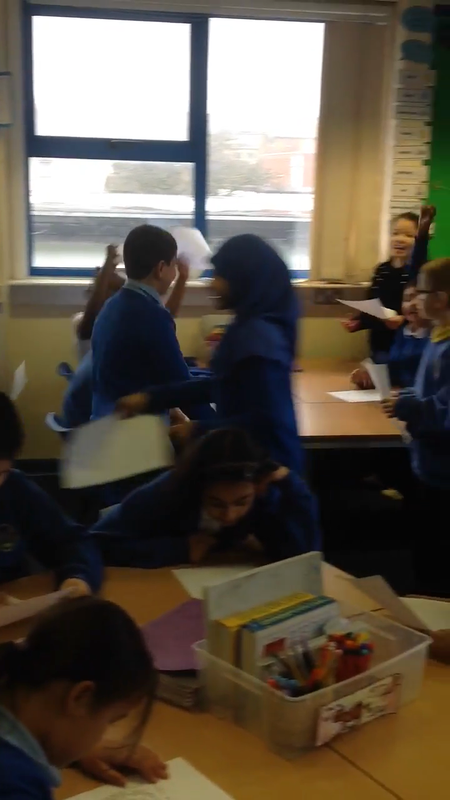 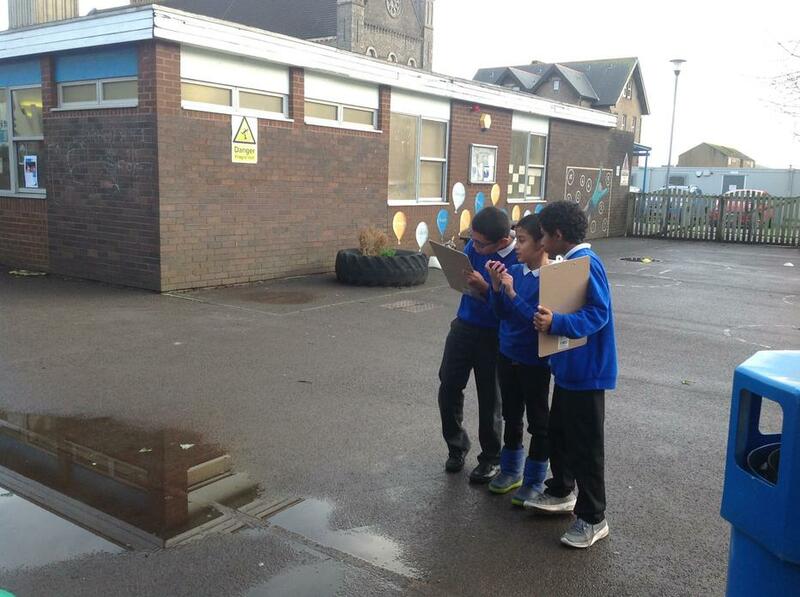 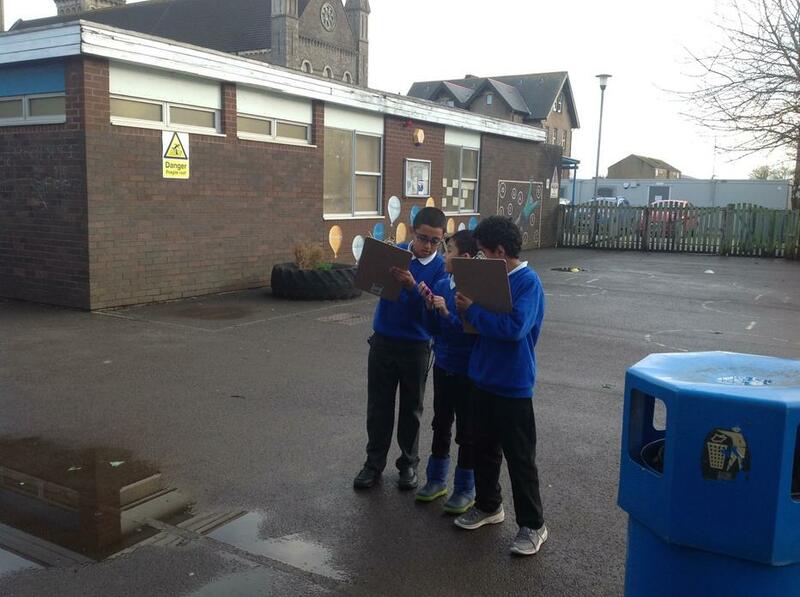 Here are some photos of us testing and recording our results. 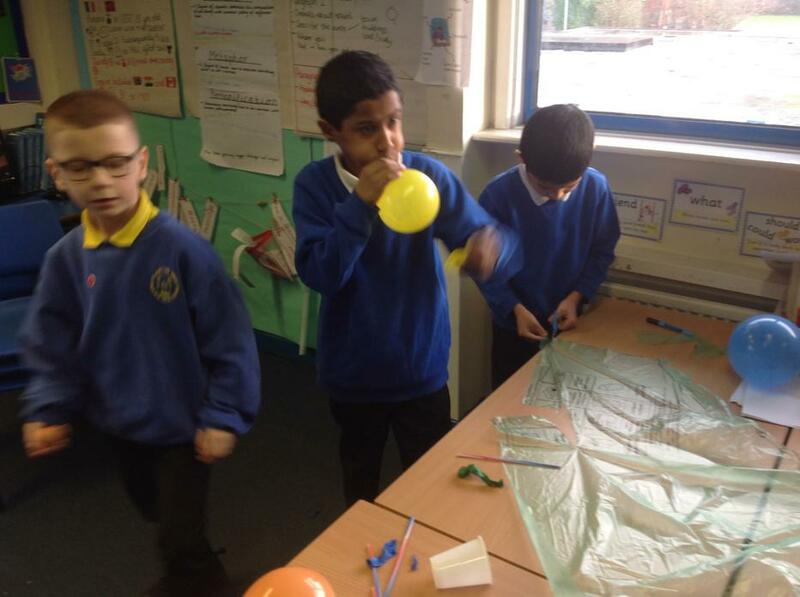 We tested each parachute 3 times! 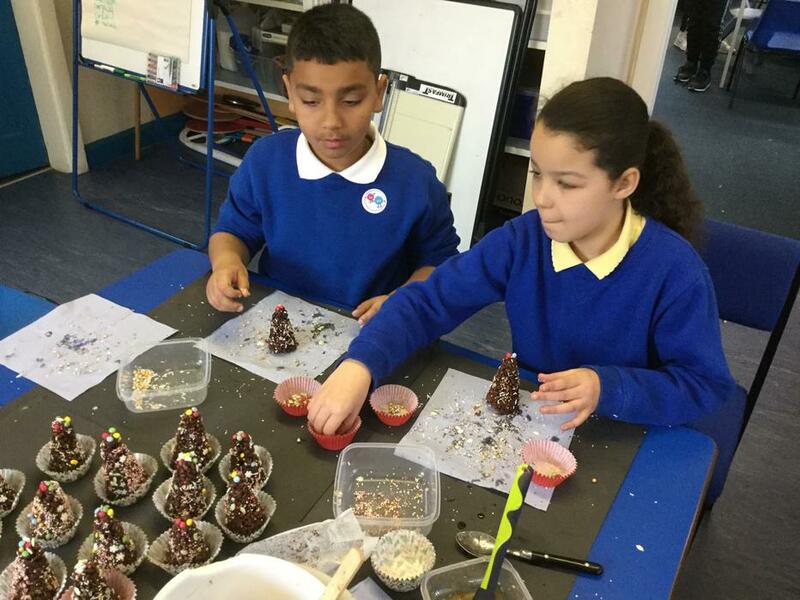 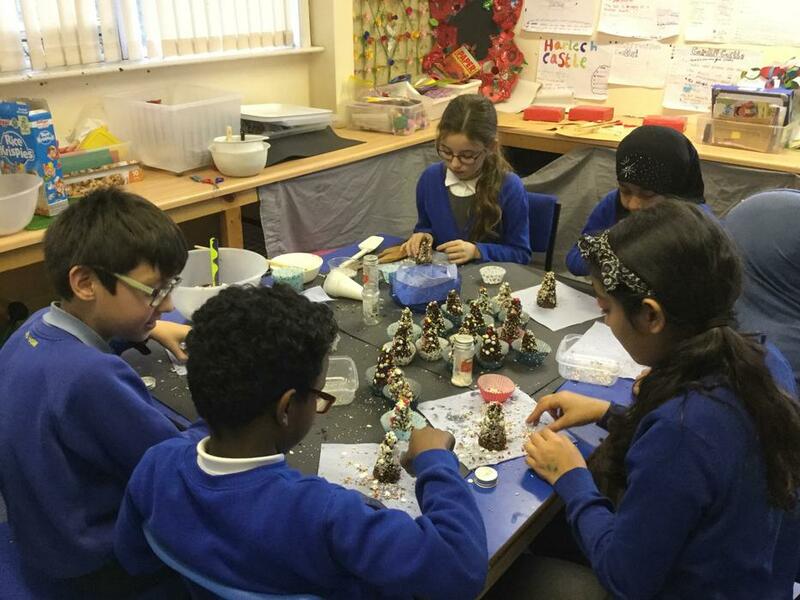 We made chocolate Christmas trees to sell at our school fair and decorated our class tree. 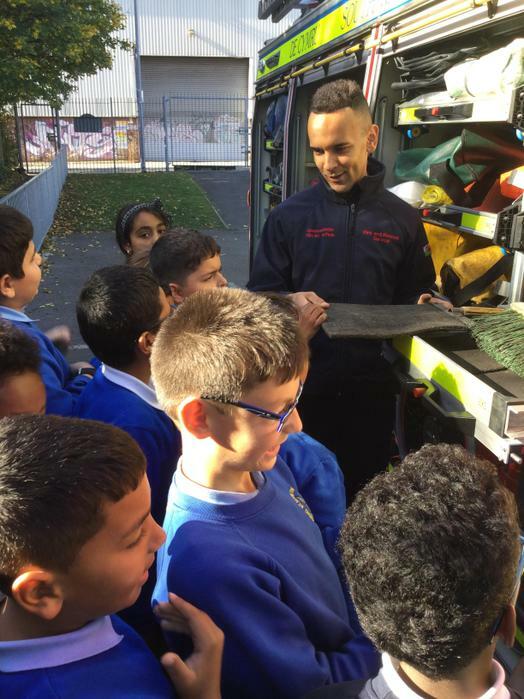 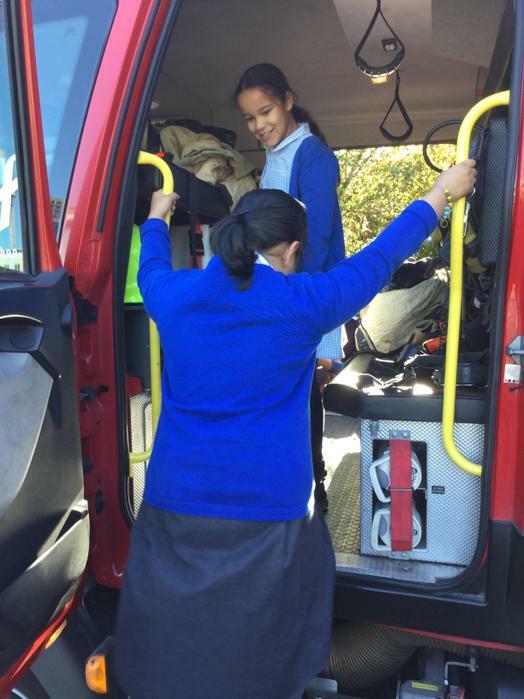 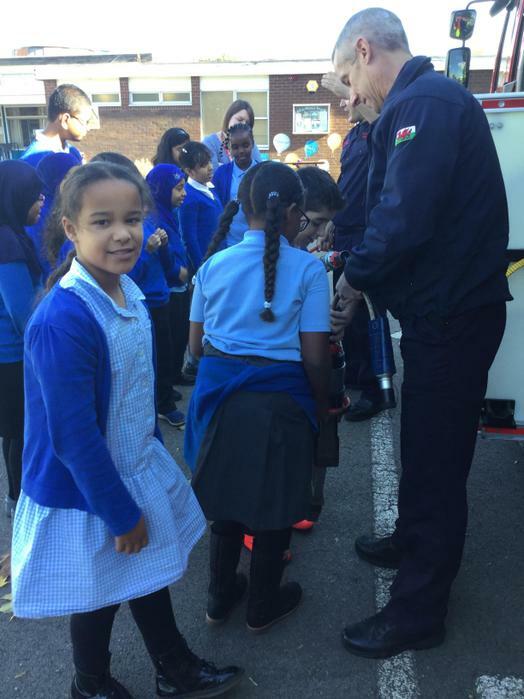 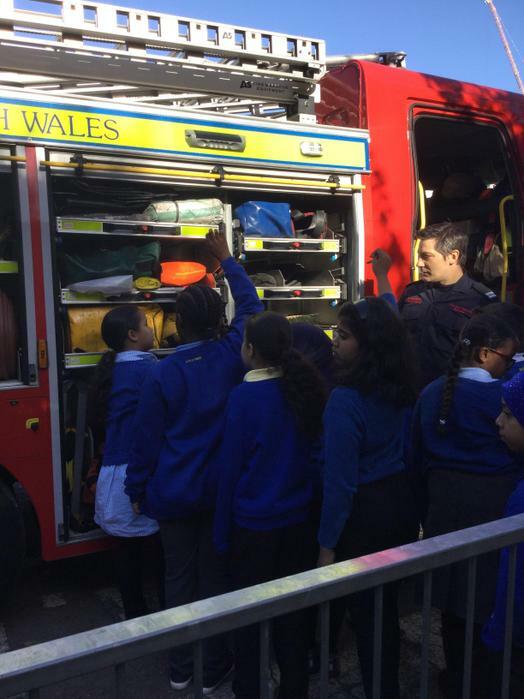 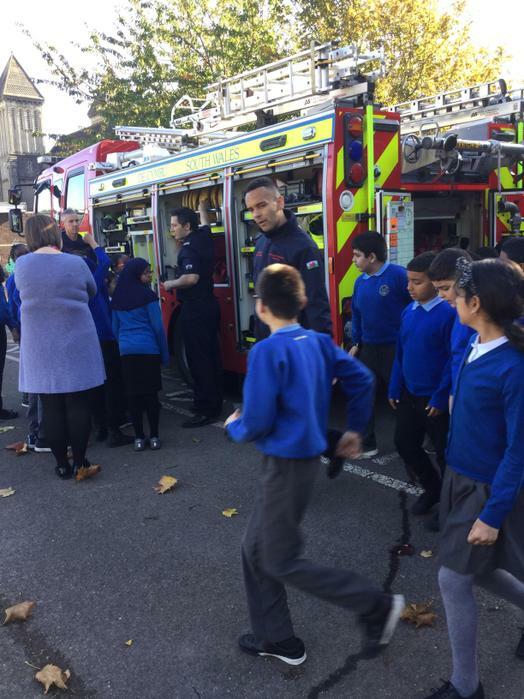 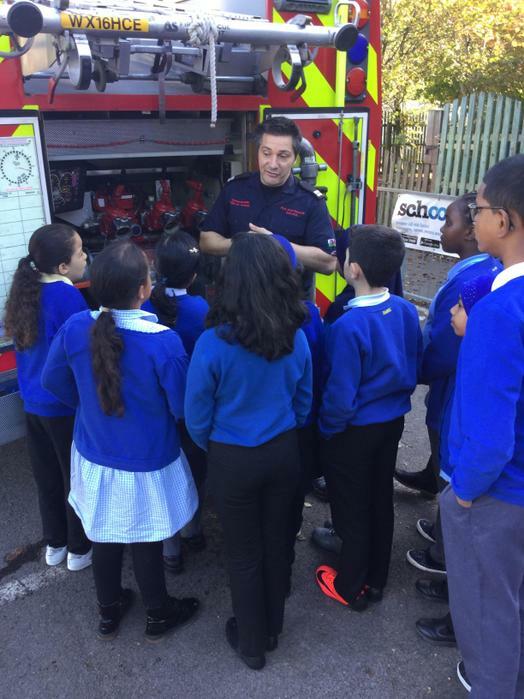 We learnt about the importance of fire safety and explored the fire truck and its devices! 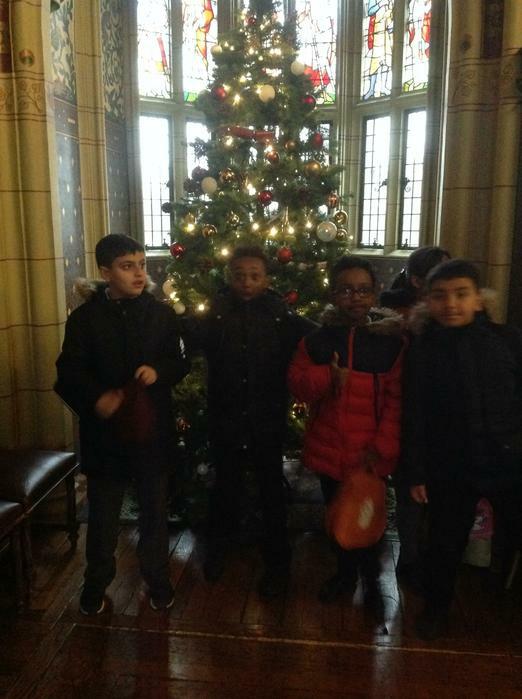 During December we walked to Cardiff Castle to learn about some of the Christmas traditions that Queen Victoria started such as crackers, Christmas trees and cards. 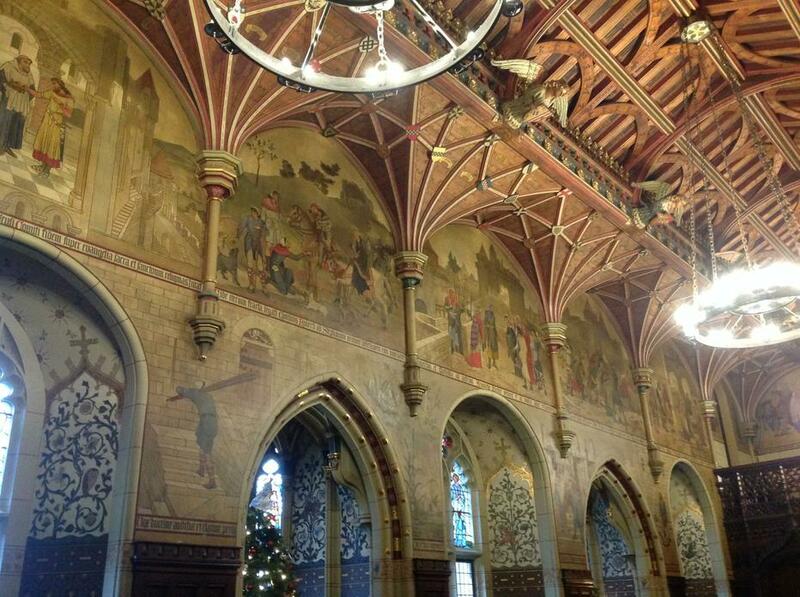 We toured the castle and learnt about the wealth behind the decor and design. 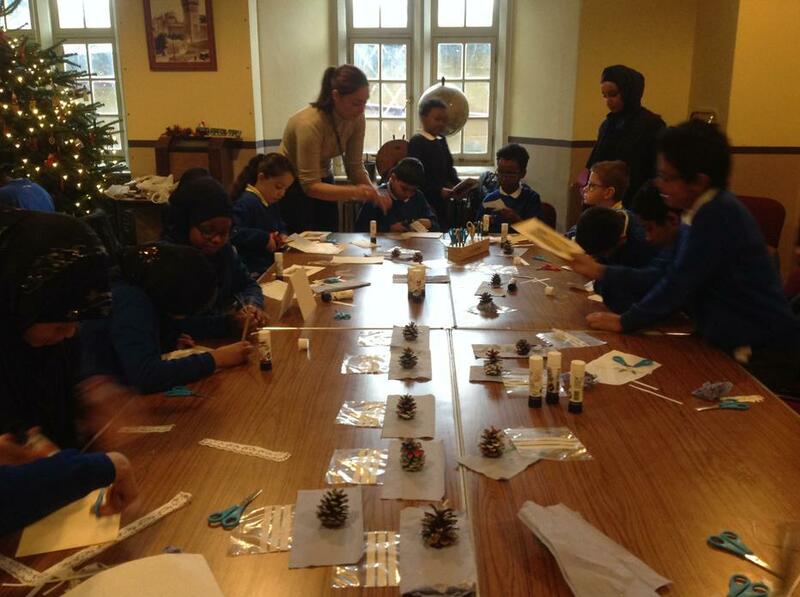 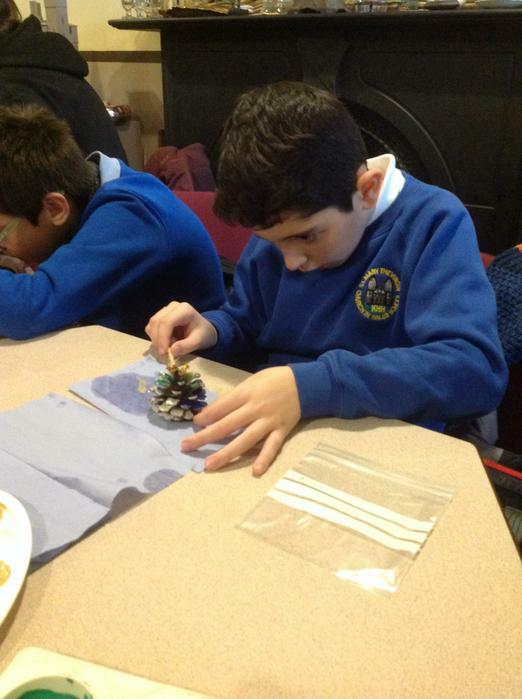 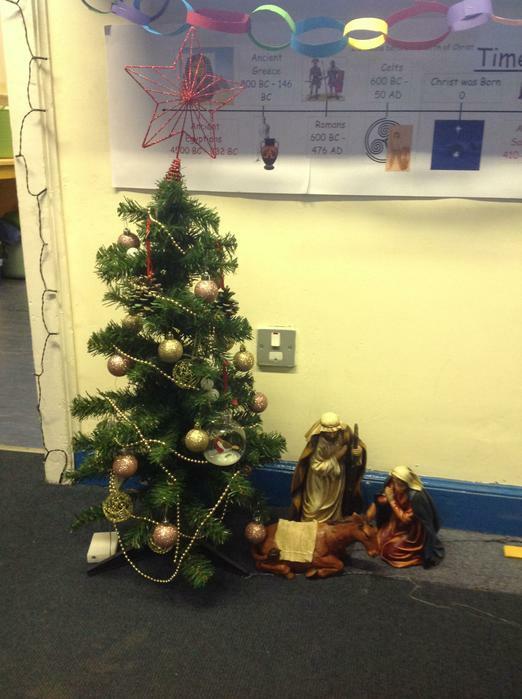 We also made our own natural Christmas decorations and cards. 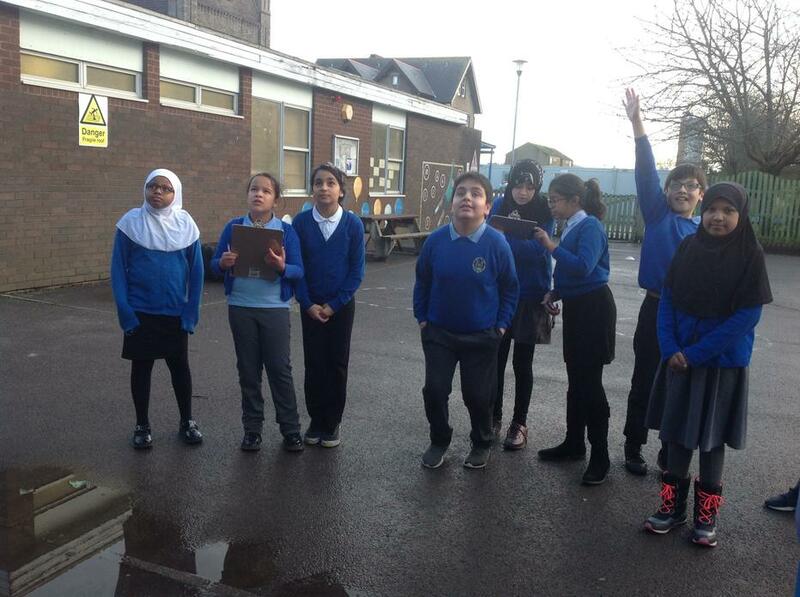 We traveled to Blaenavon to explore the Big Pit, National Coal Museum. 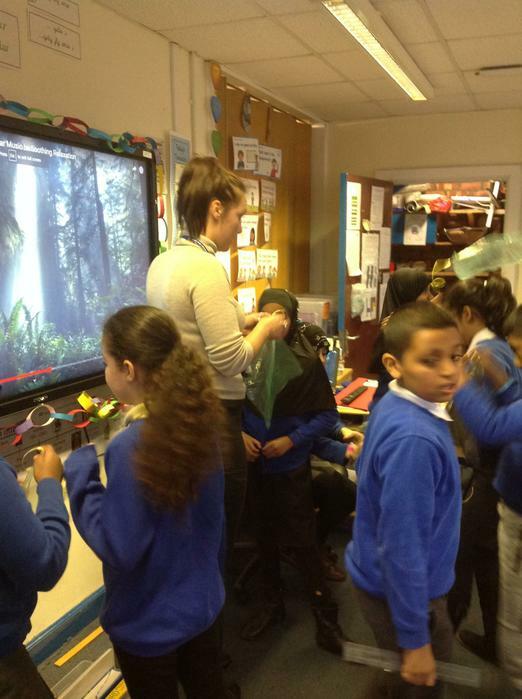 We went underground to see the working conditions that the people and animals were made to work in. 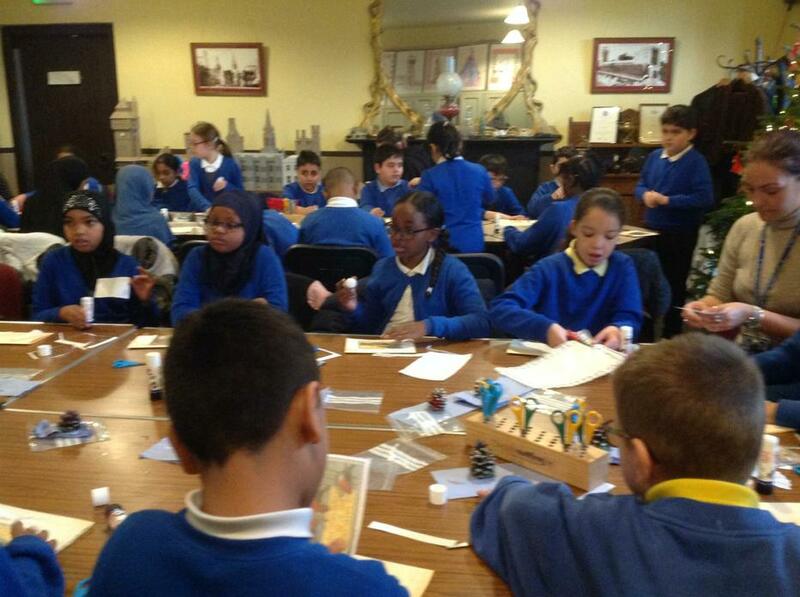 Unfortunately we went so deep underground we couldn't take any electronic devices down to capture more pictures! 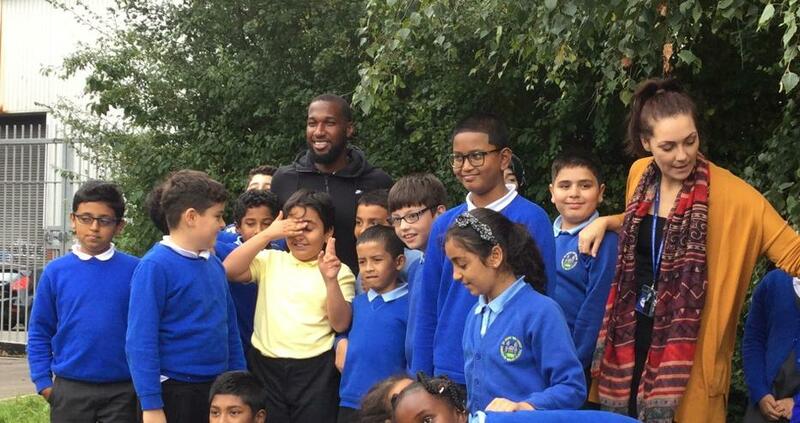 HOLLETT and BAMBA came to our school! 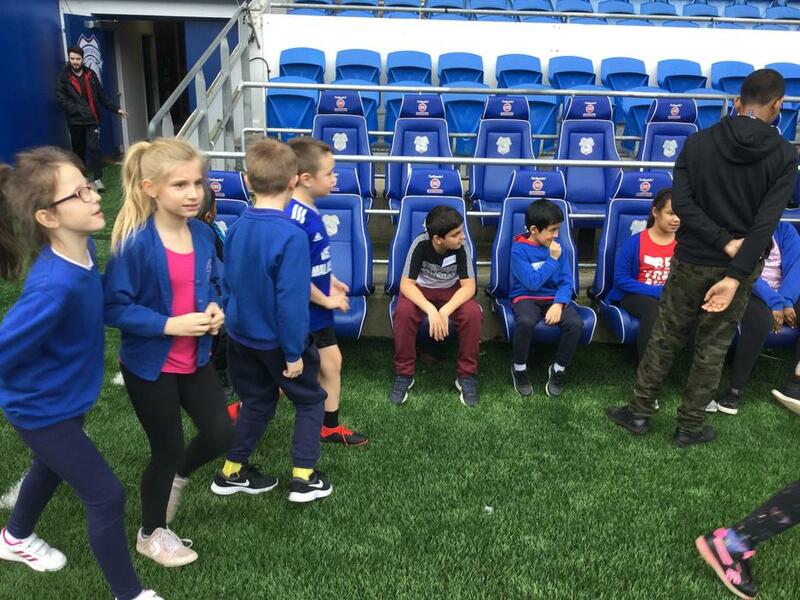 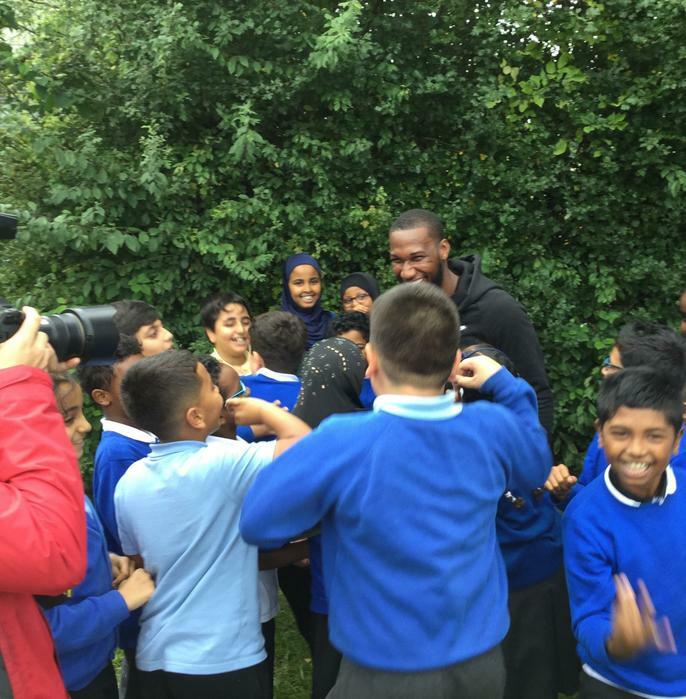 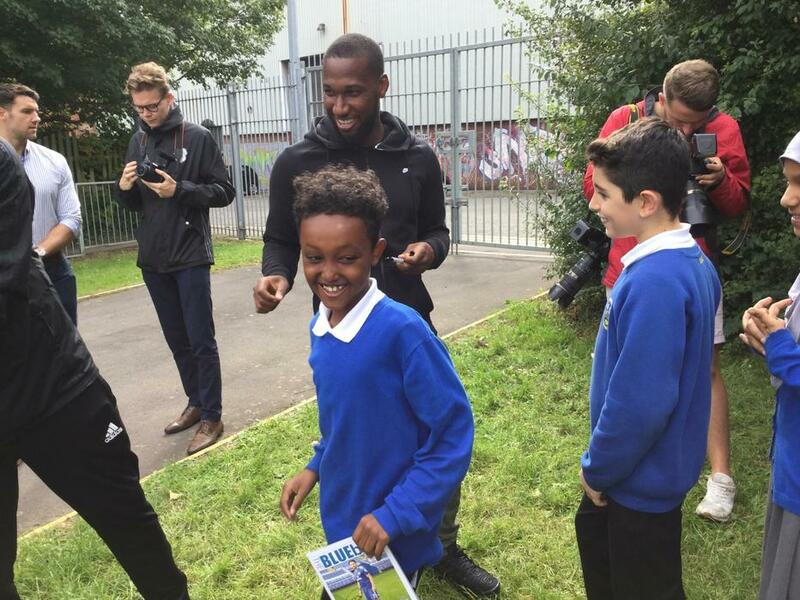 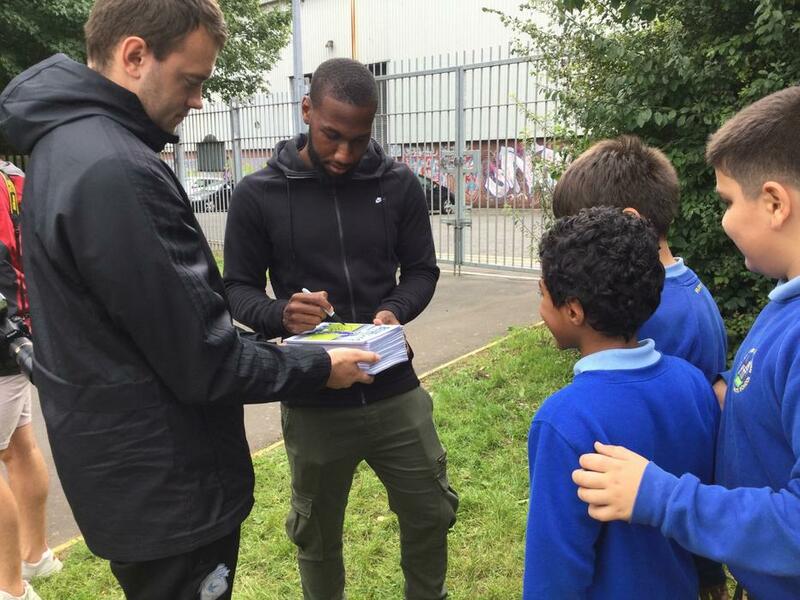 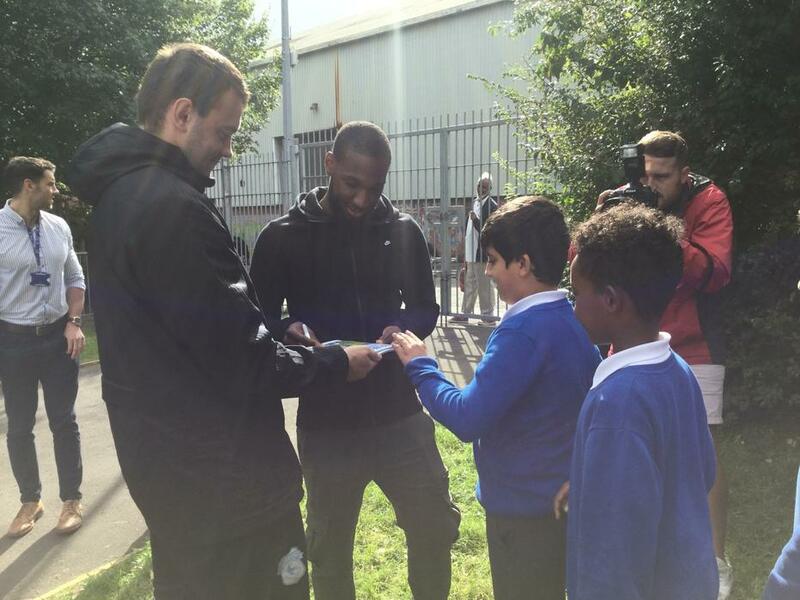 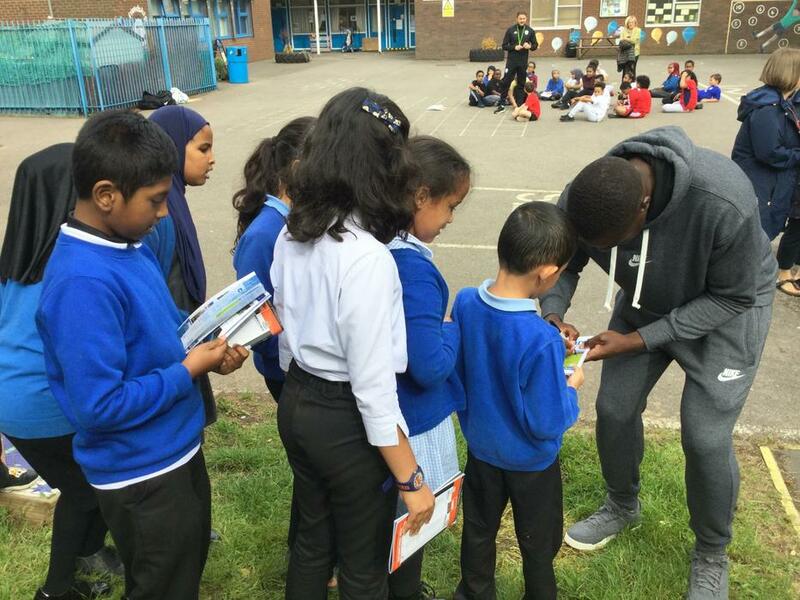 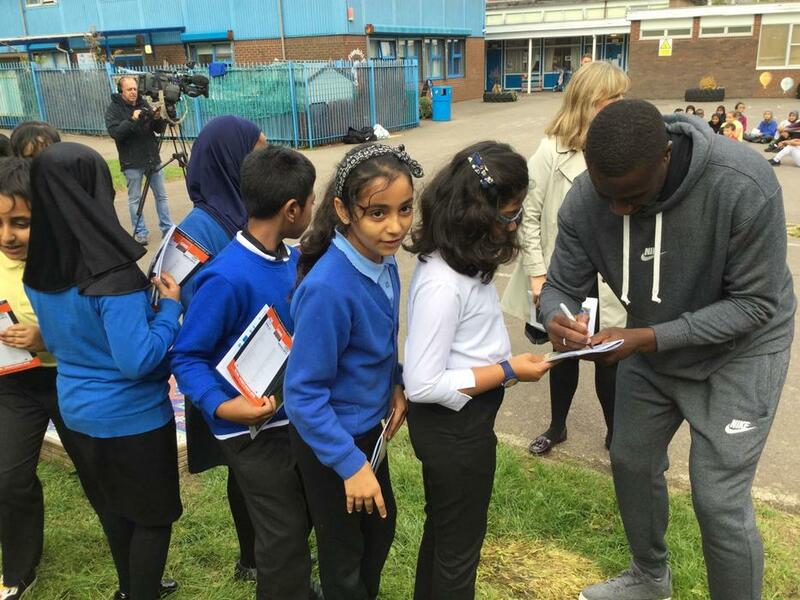 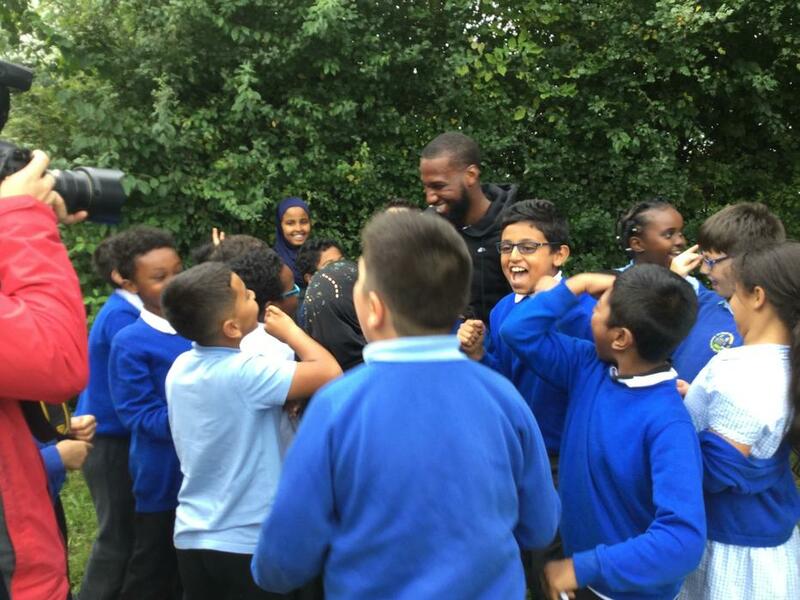 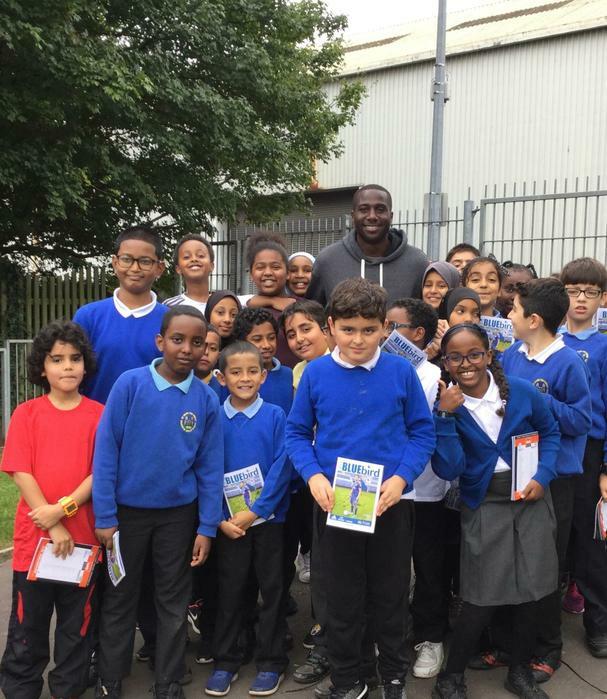 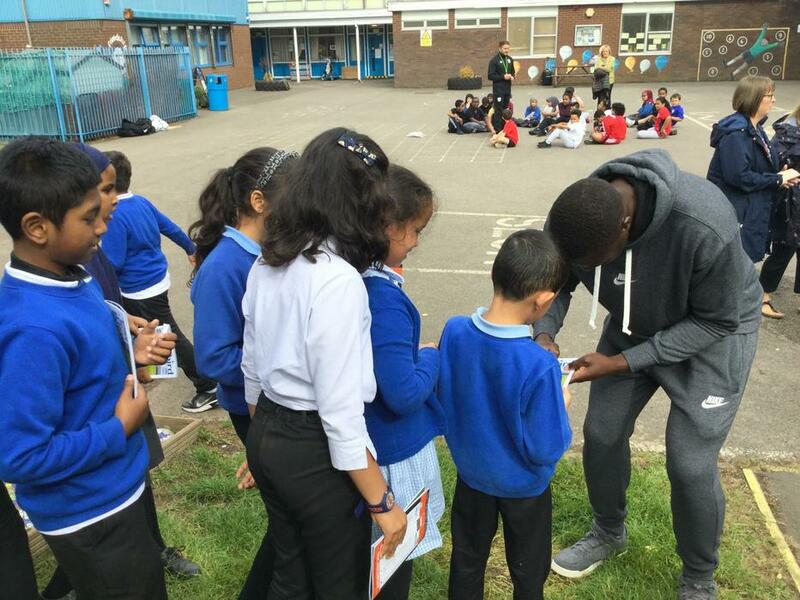 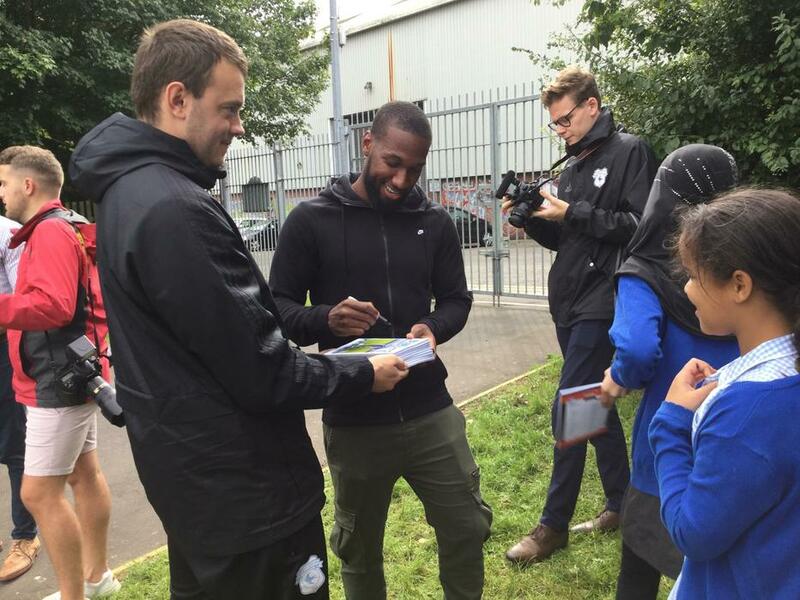 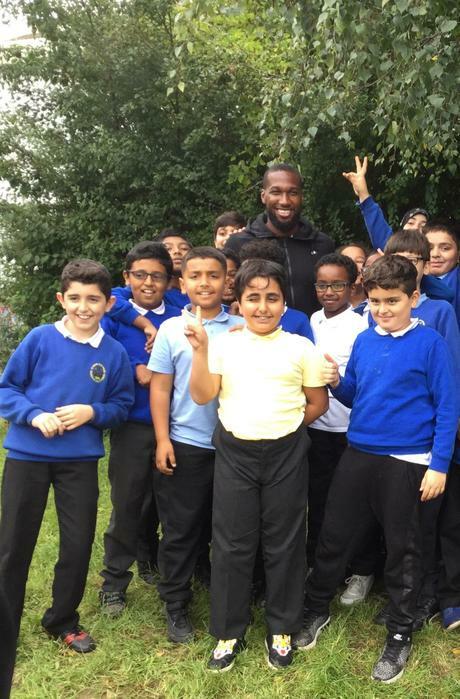 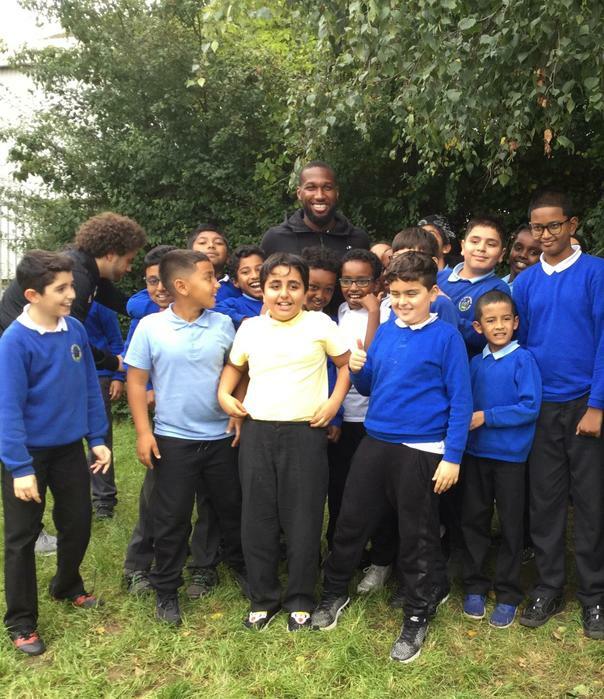 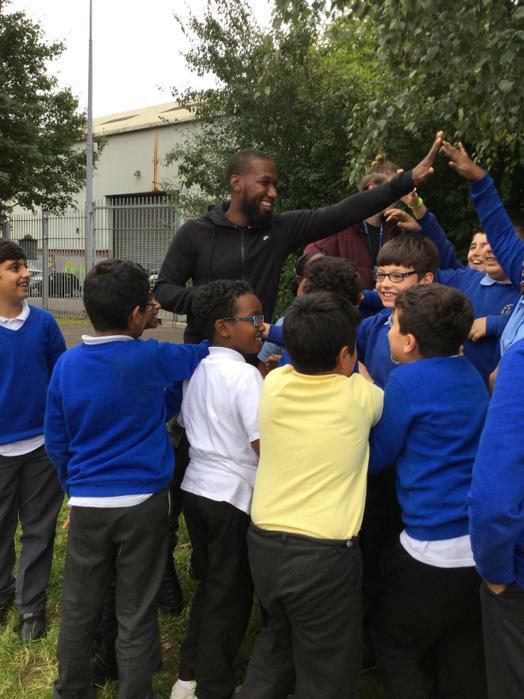 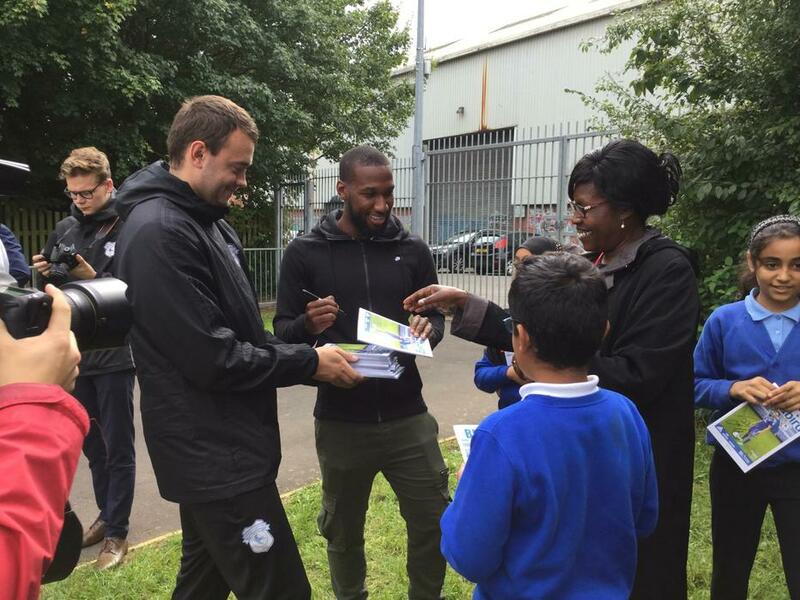 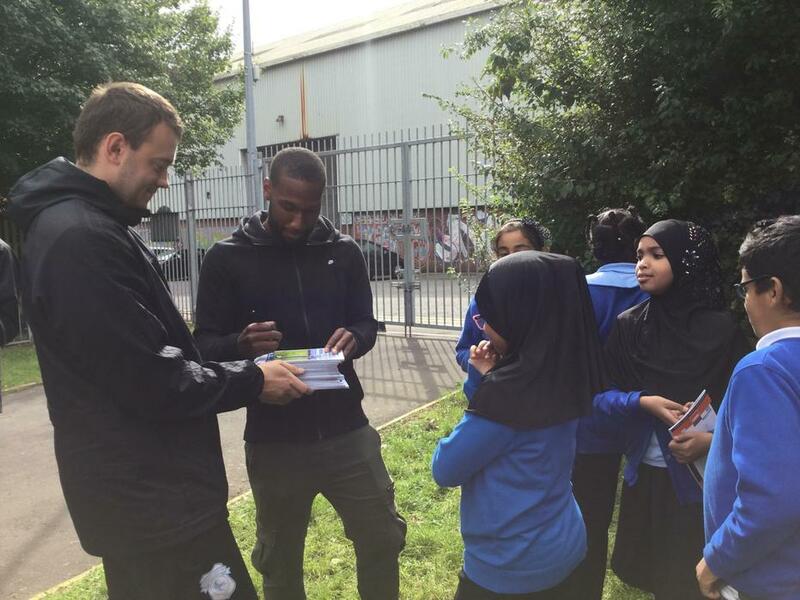 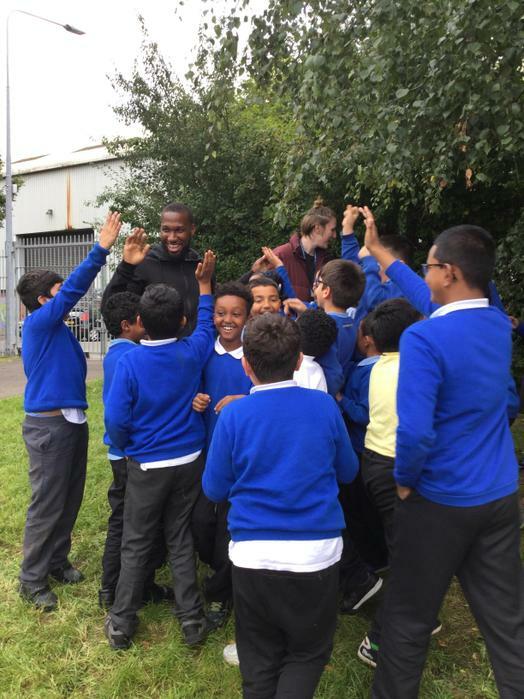 We watched two of the best Cardiff City players play football with our Year 6 friends then they gave us free football tickets. 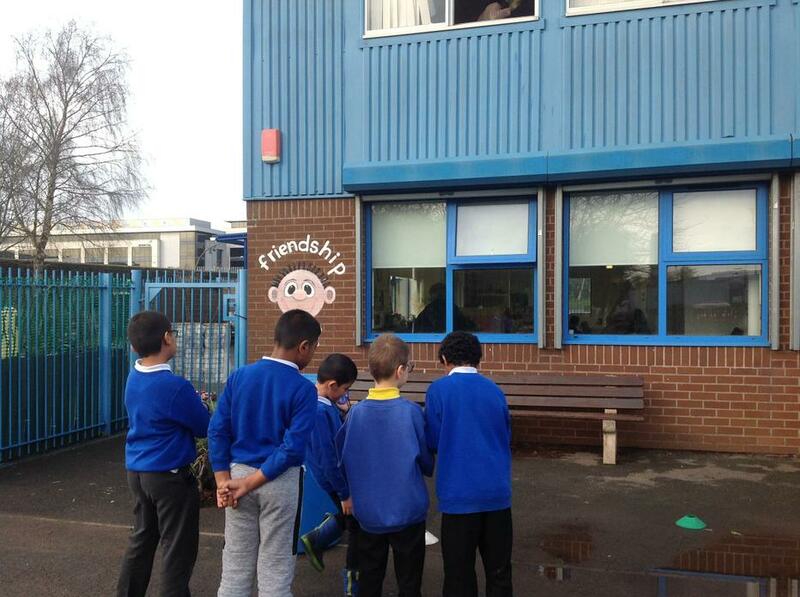 This was one of our most exciting days so far! 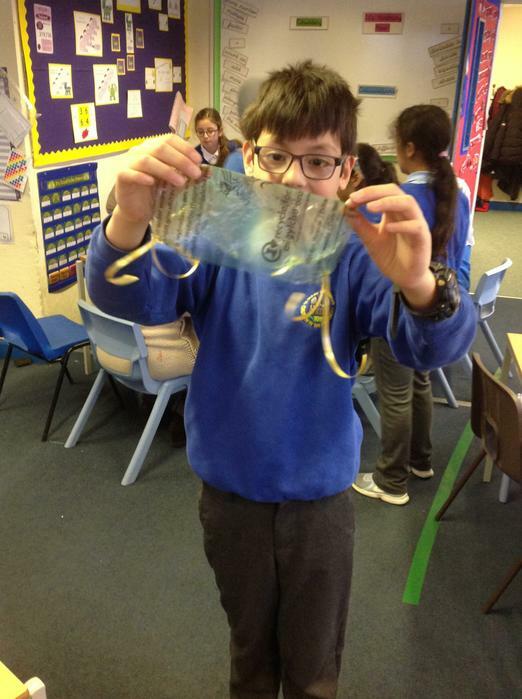 We were exploring some famous Victorian inventors such as Thomas Edison . 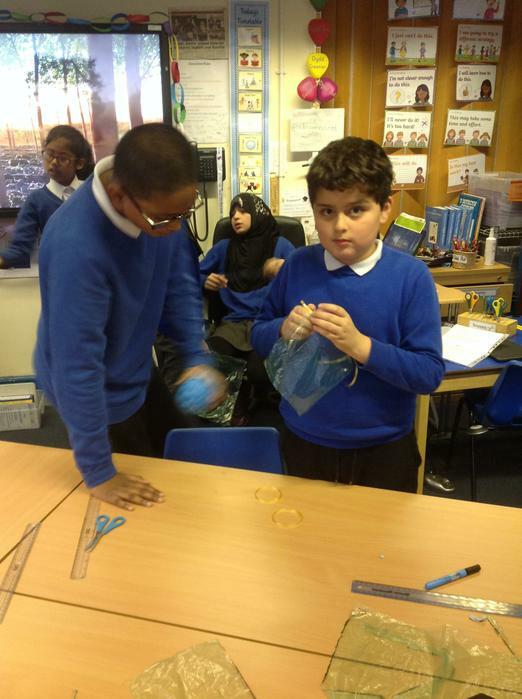 Here we are demonstrating what a complete circuit looks like and how electricity travels. 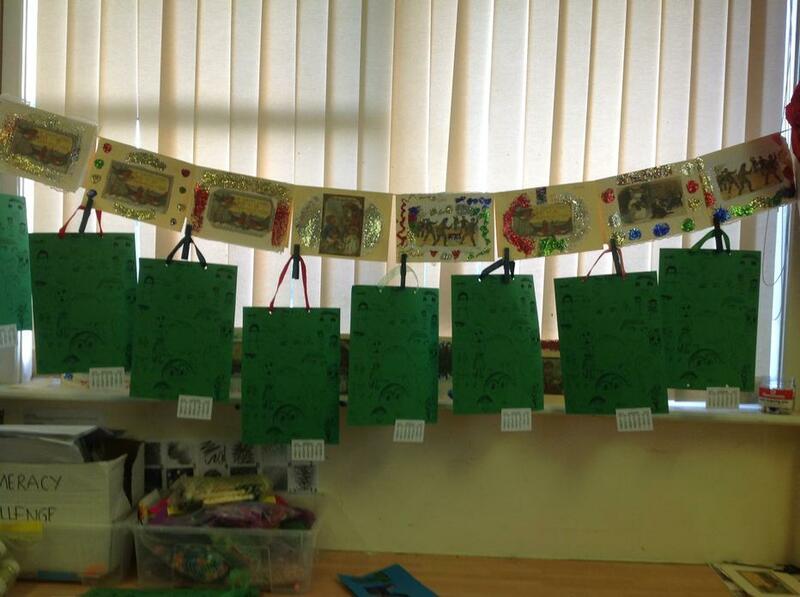 Our Autumn topic was 'The Victorians.' 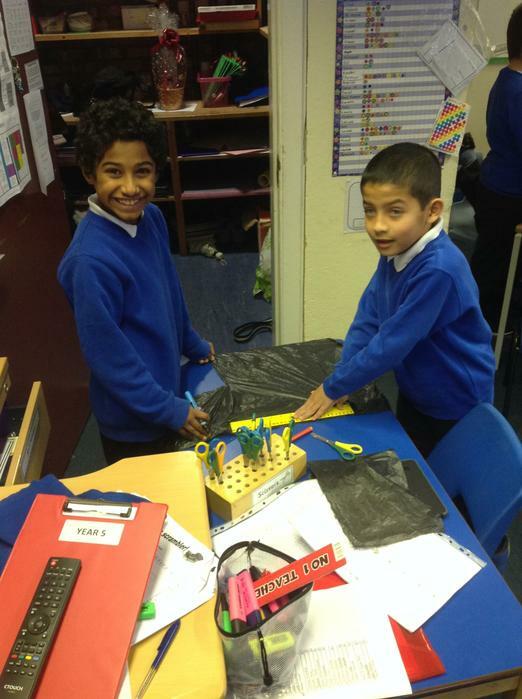 We were learning about Queen Victoria, the British Empire and how people lived during this period. 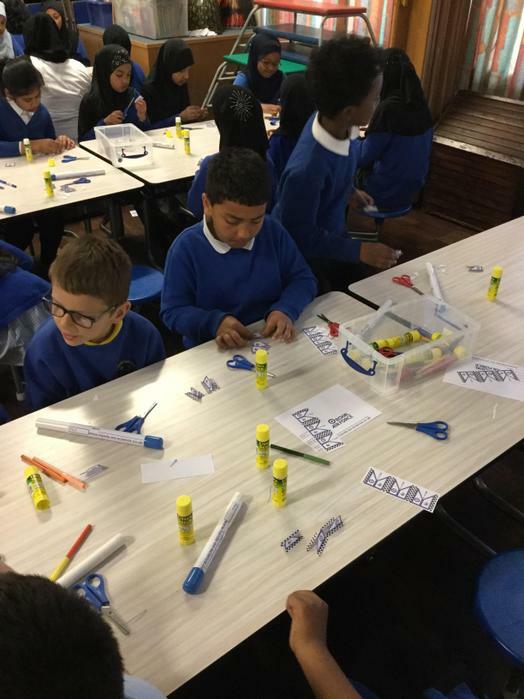 We explored the important events and inventions that occurred during this period and the impact it has had on our lives today.